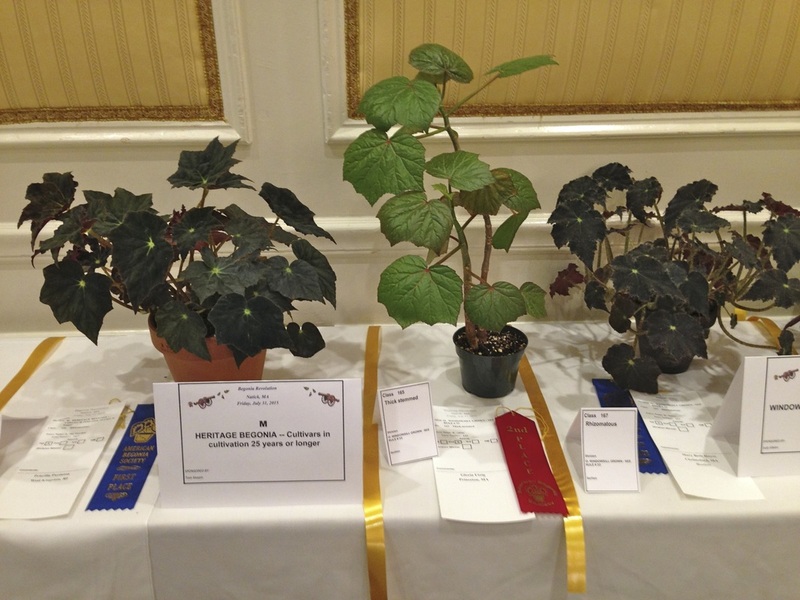 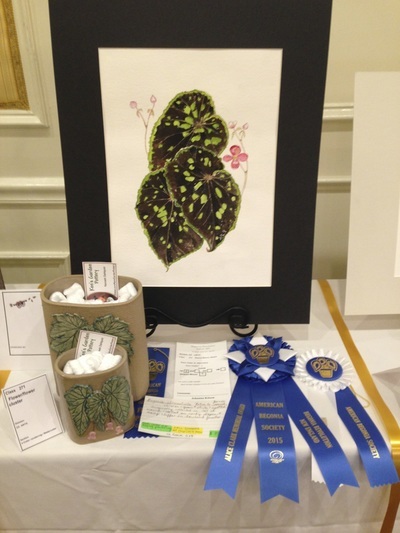 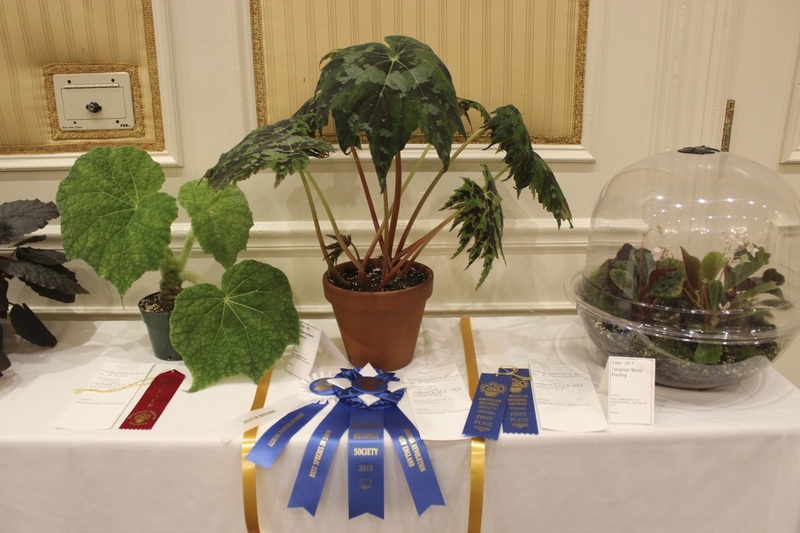 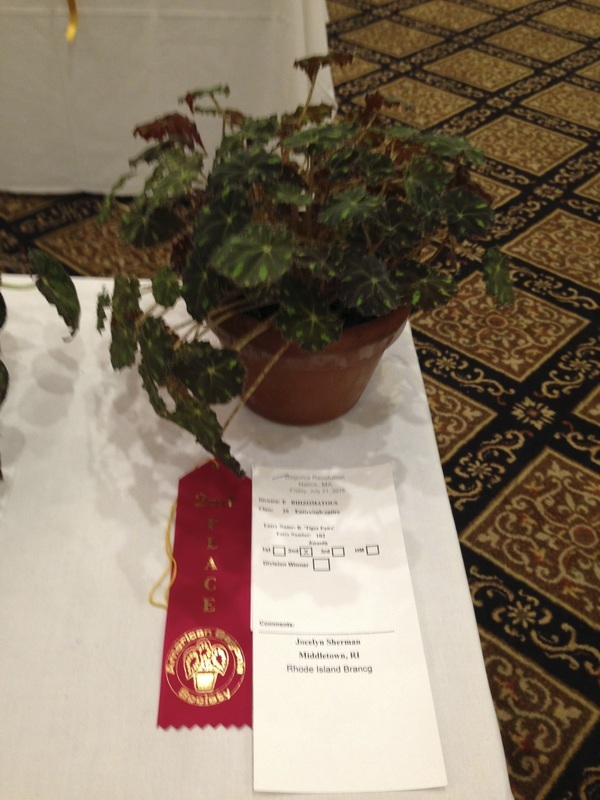 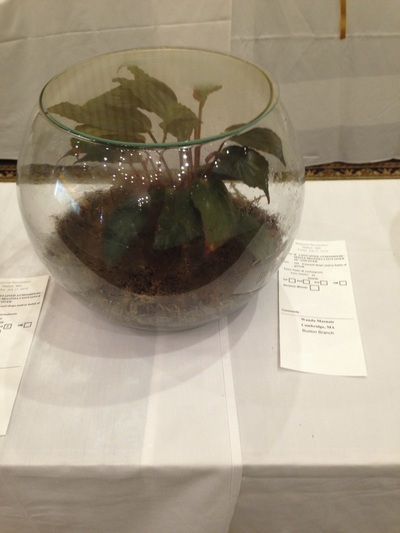 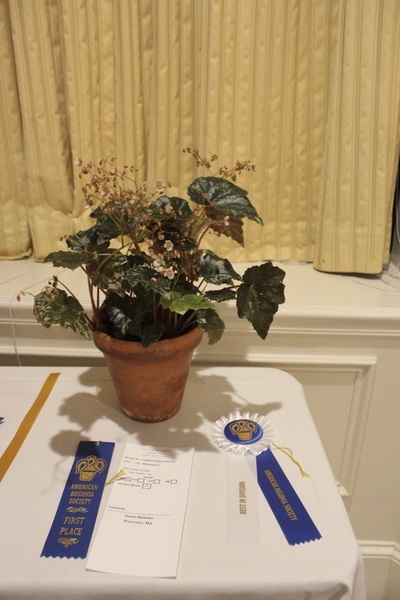 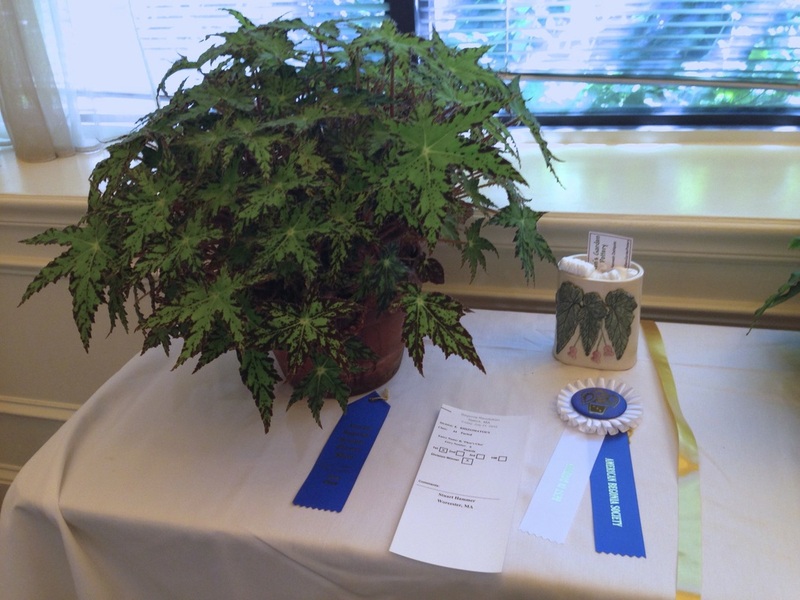 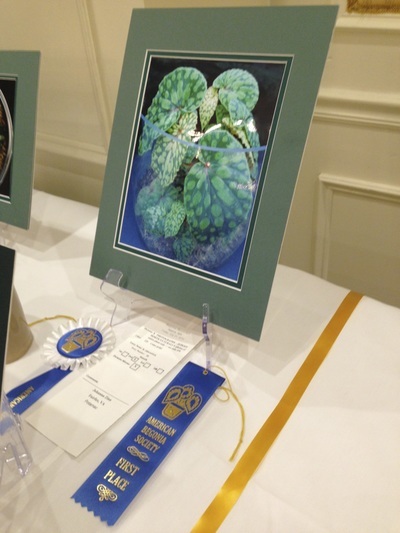 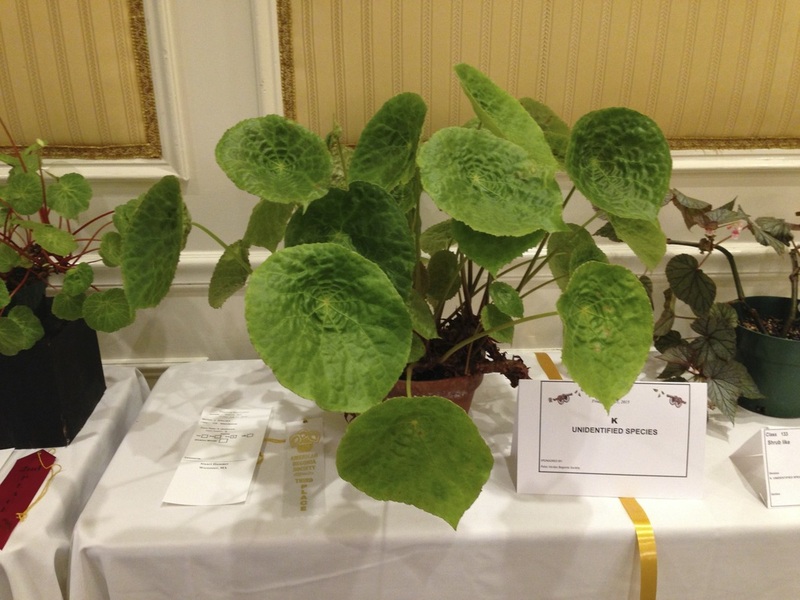 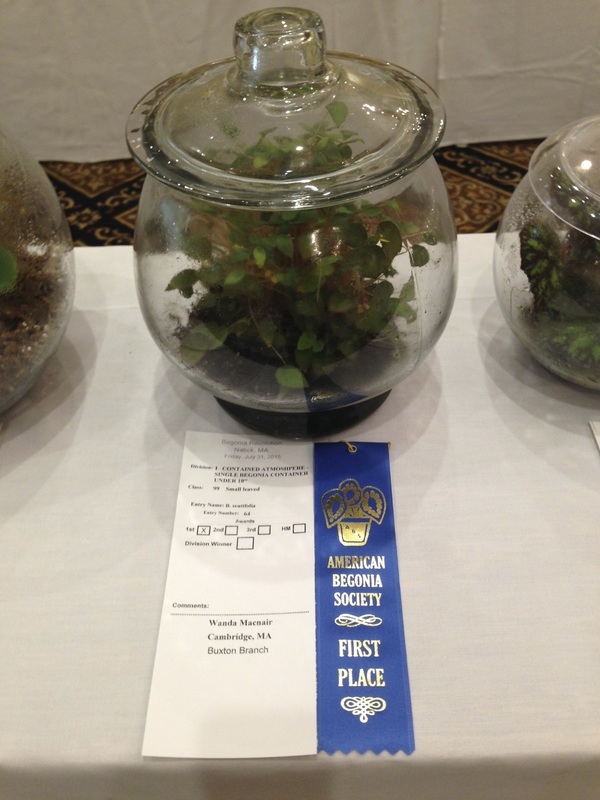 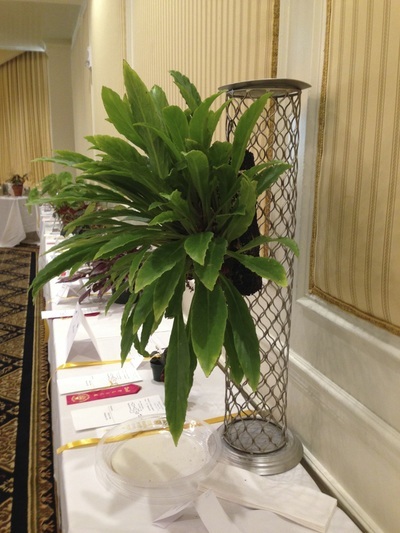 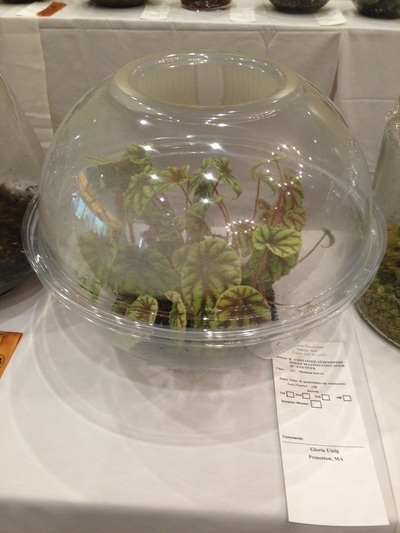 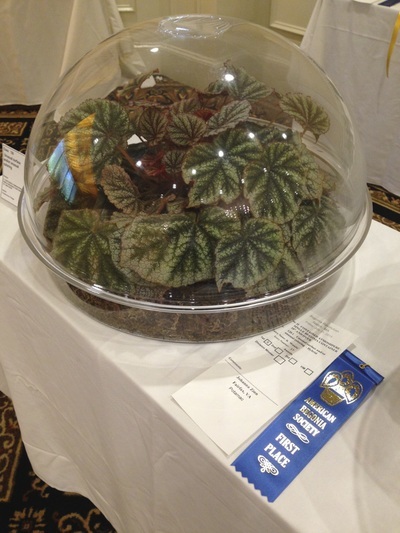 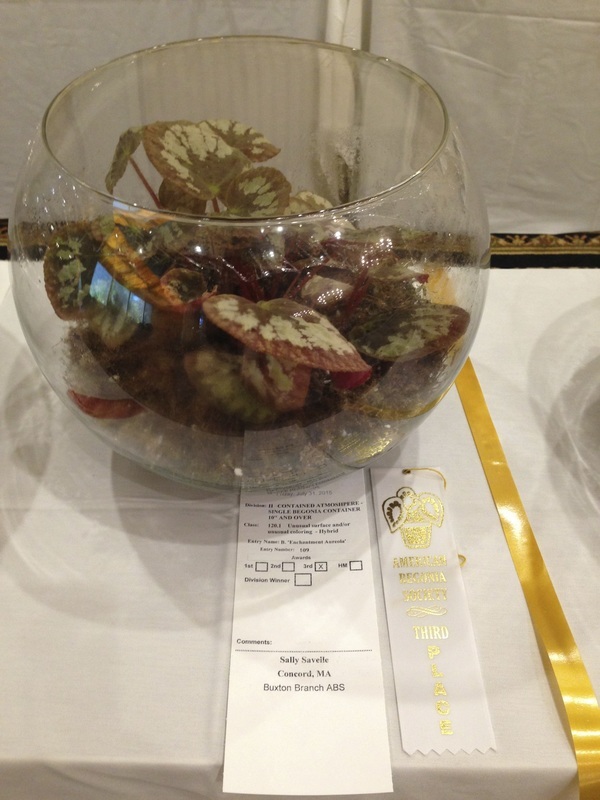 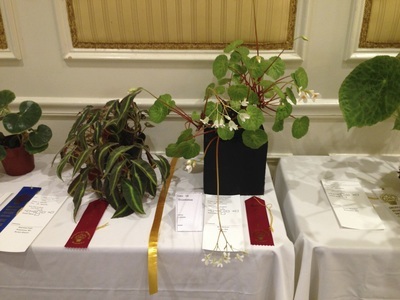 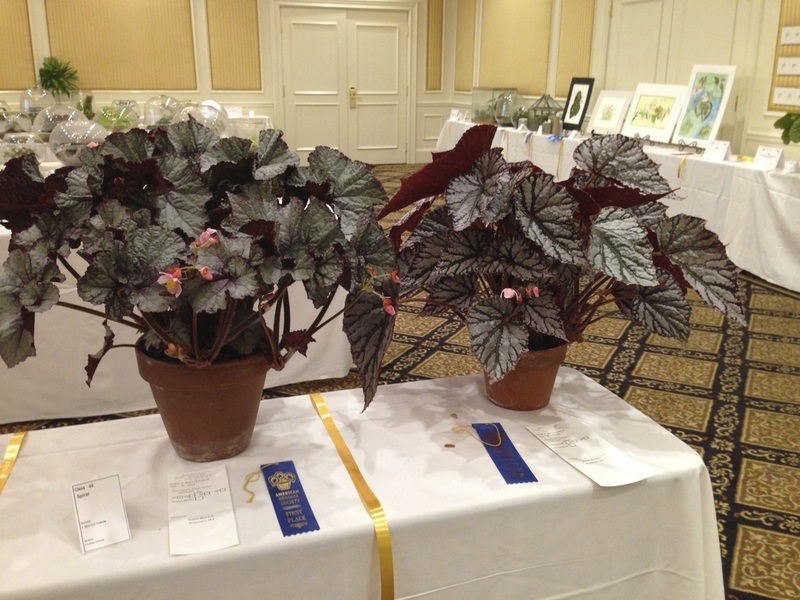 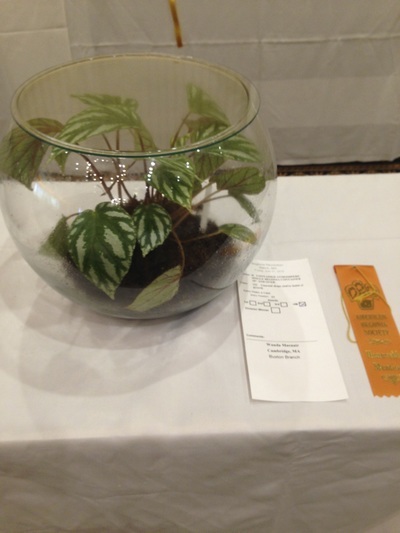 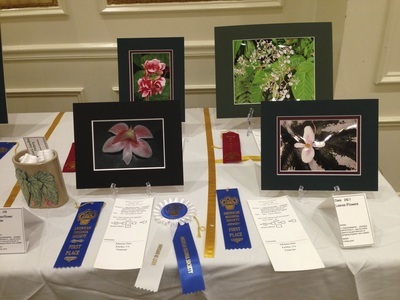 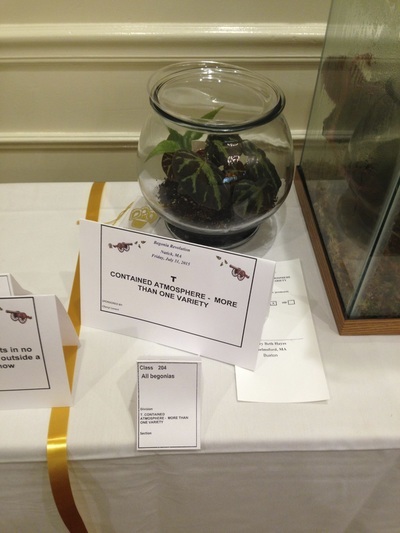 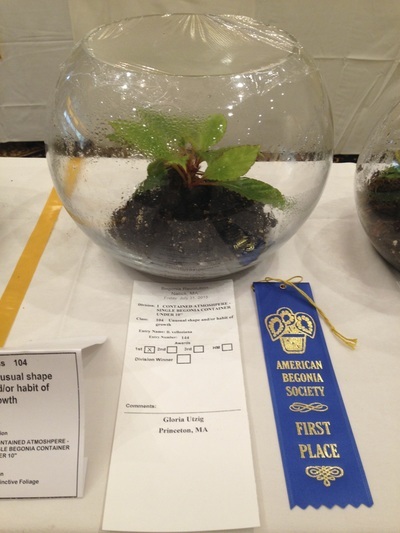 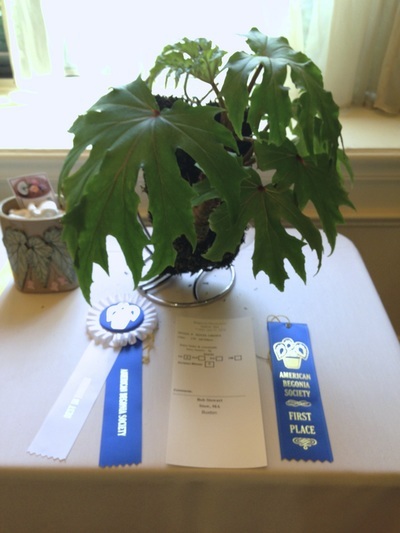 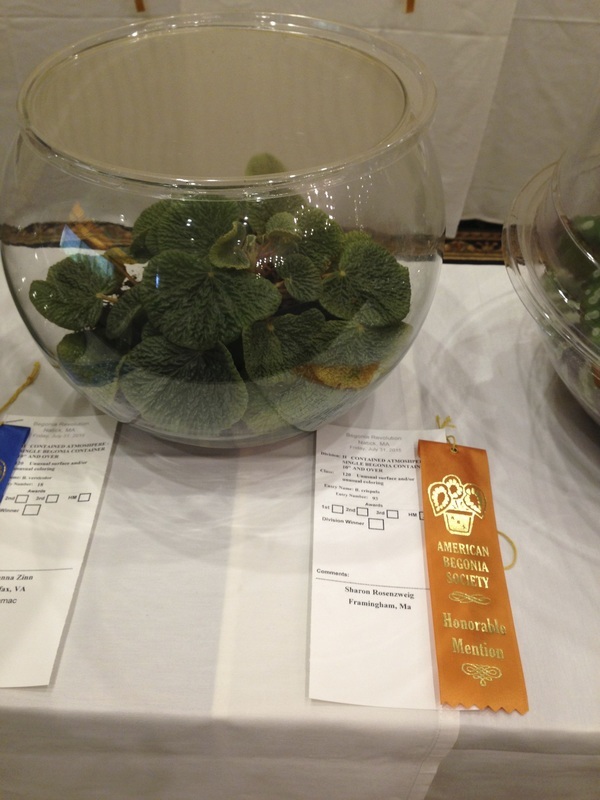 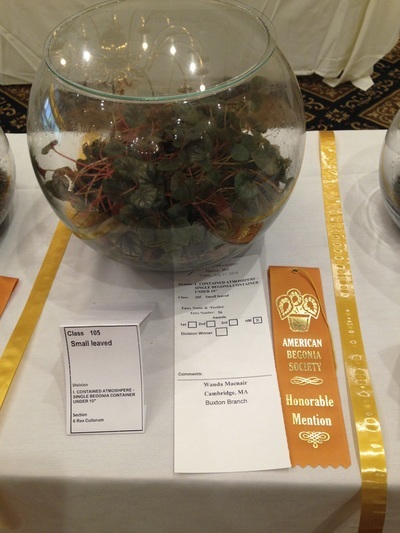 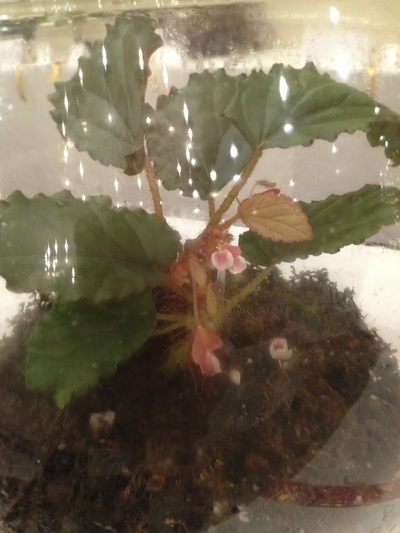 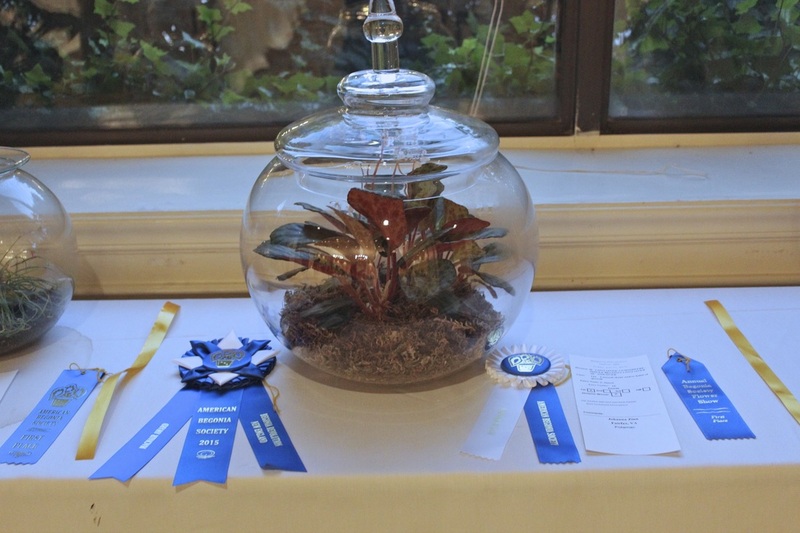 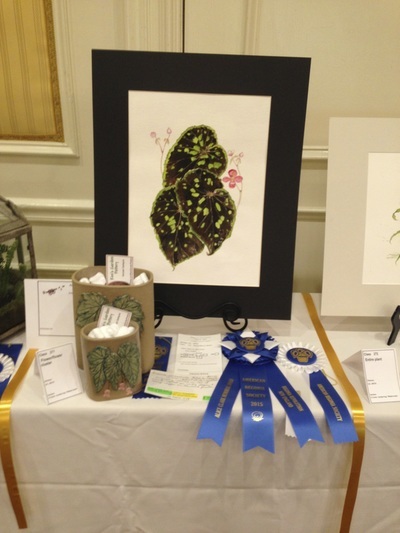 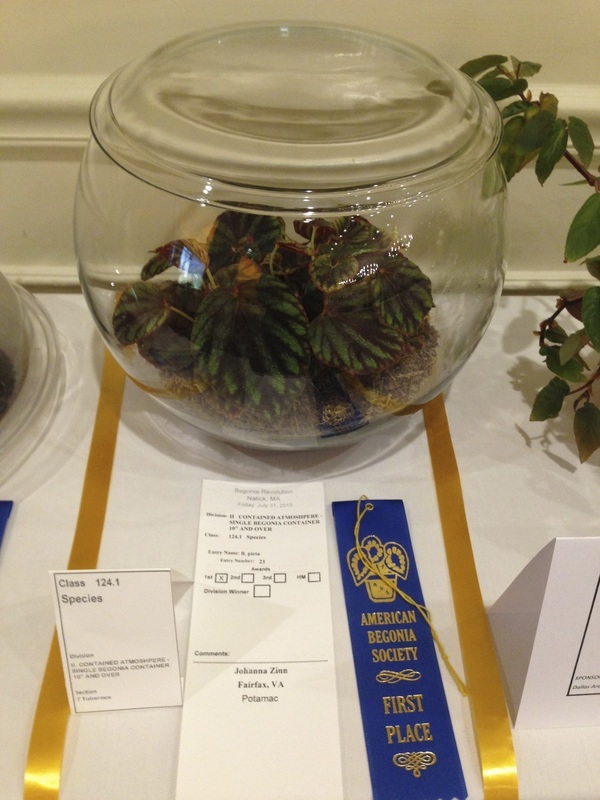 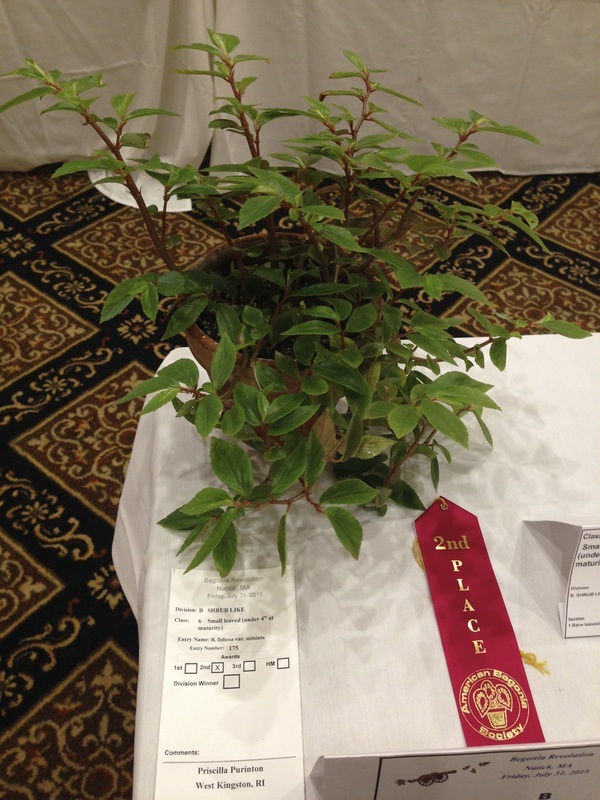 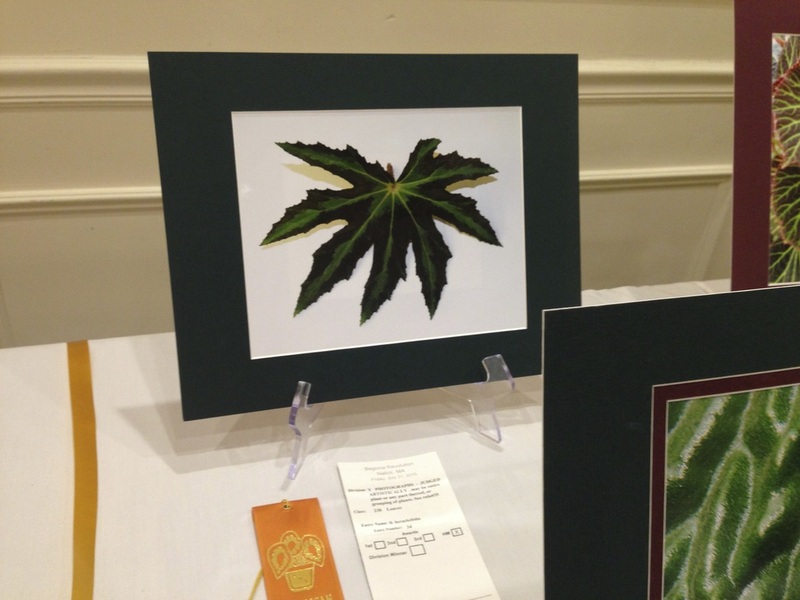 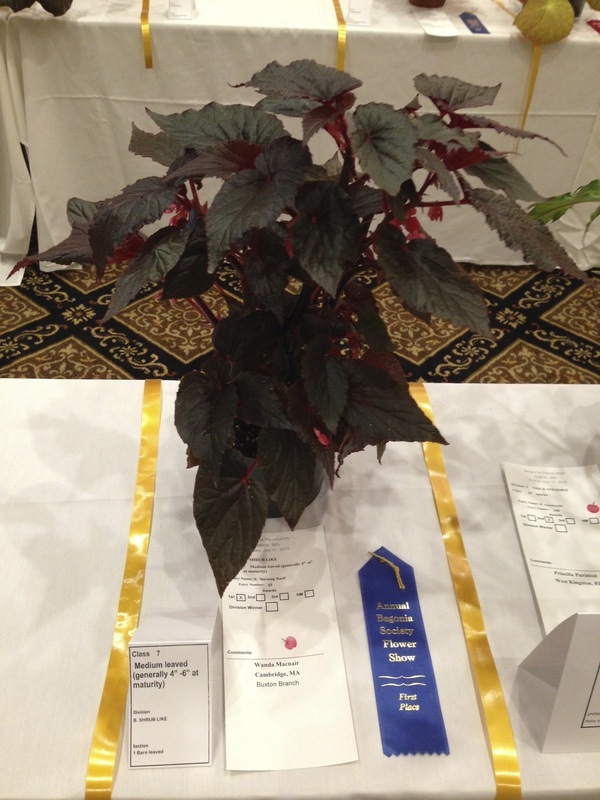 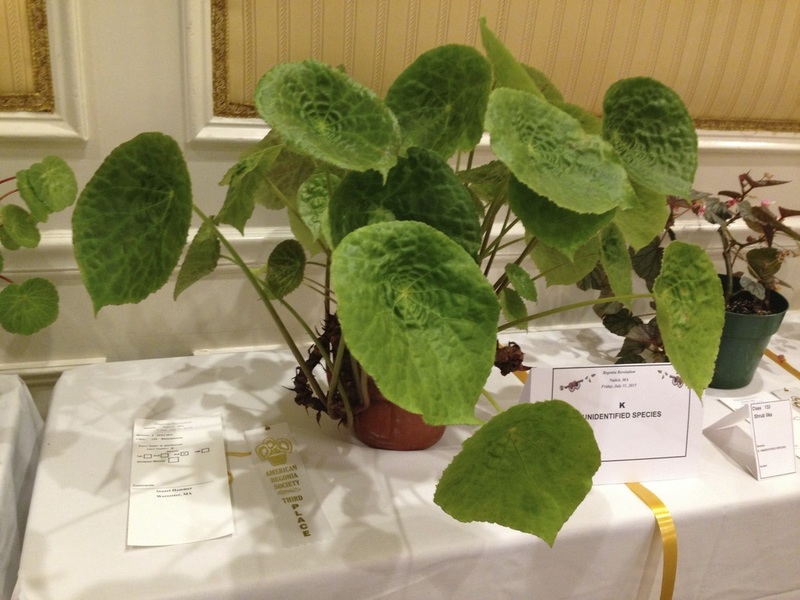 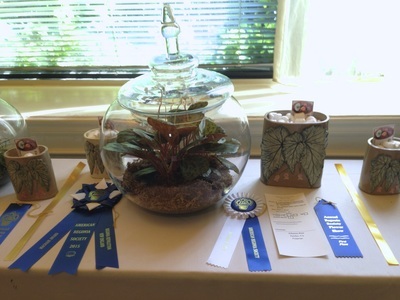 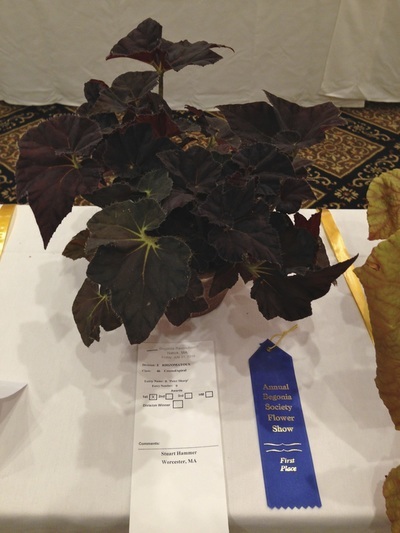 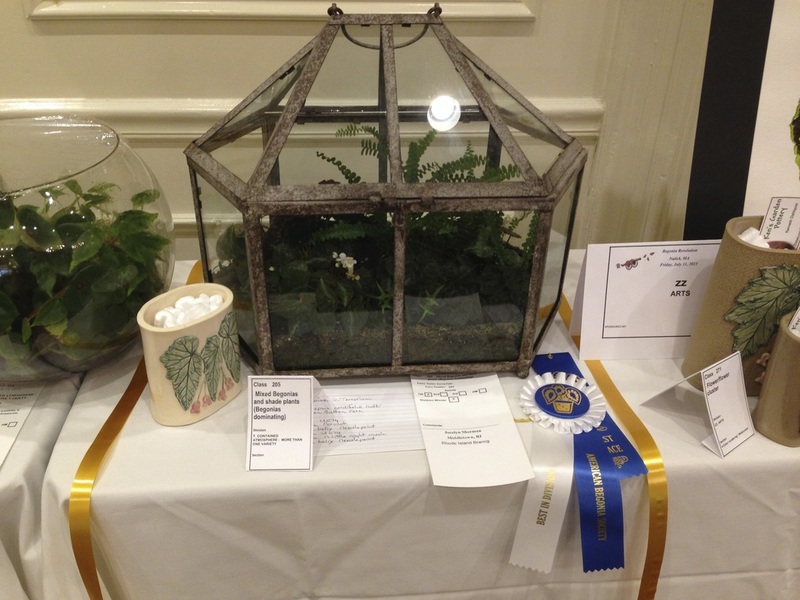 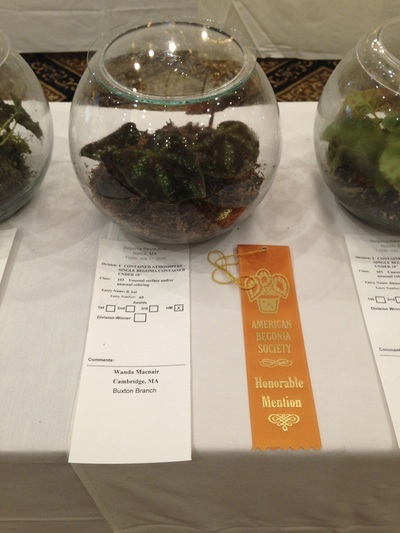 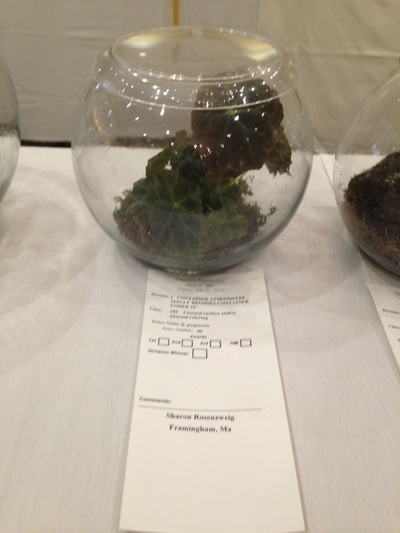 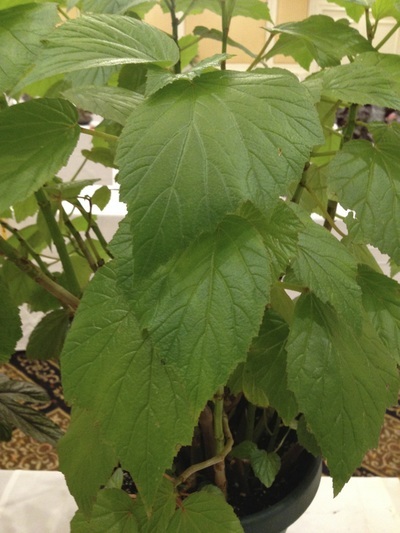 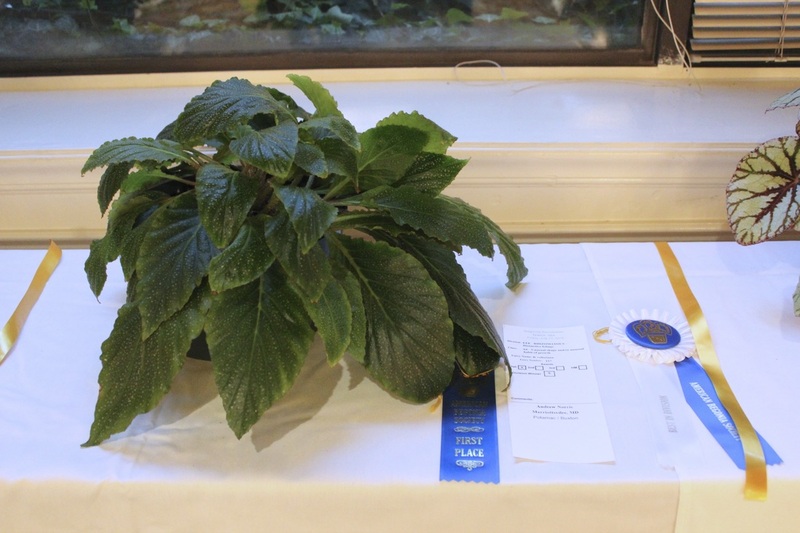 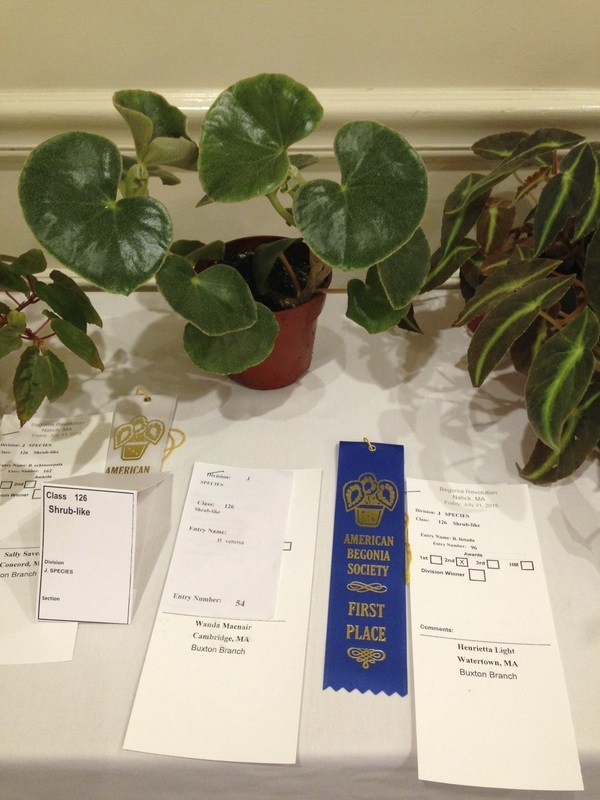 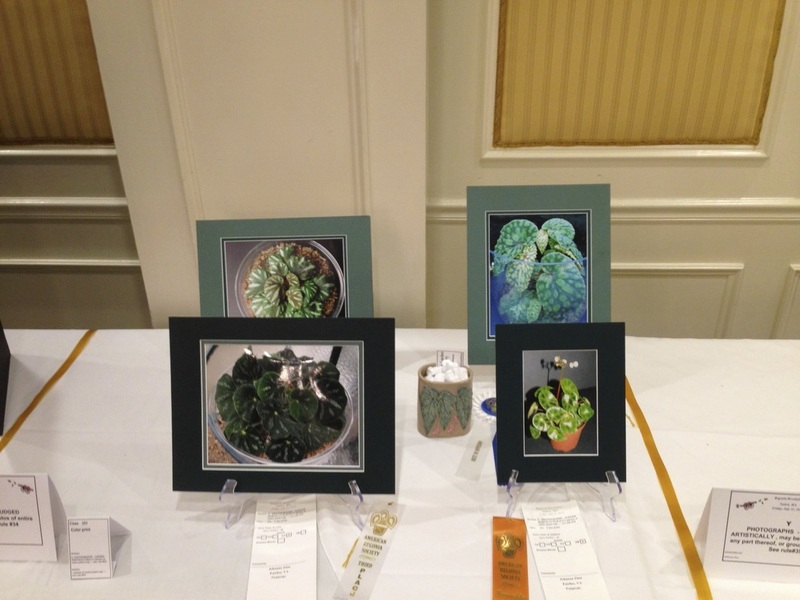 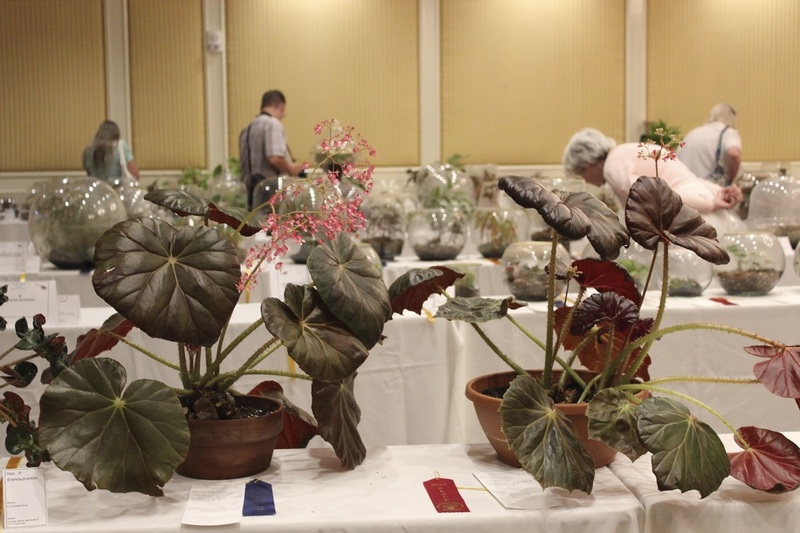 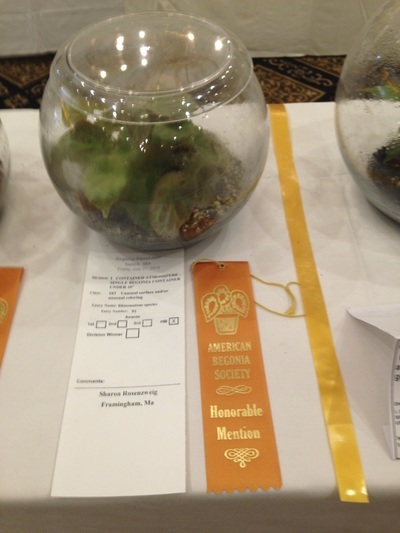 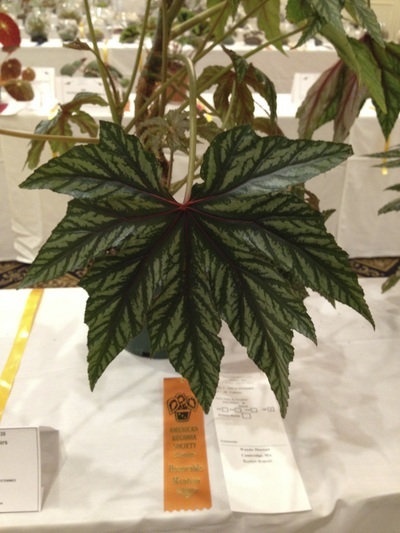 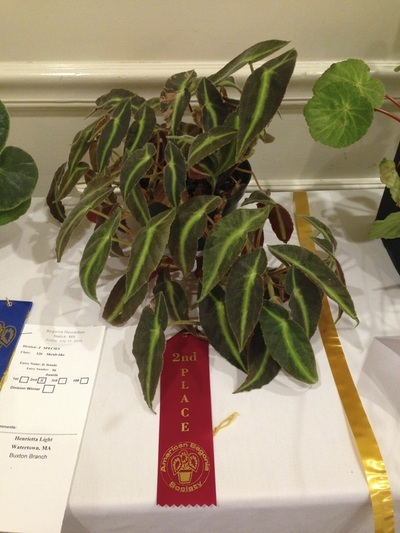 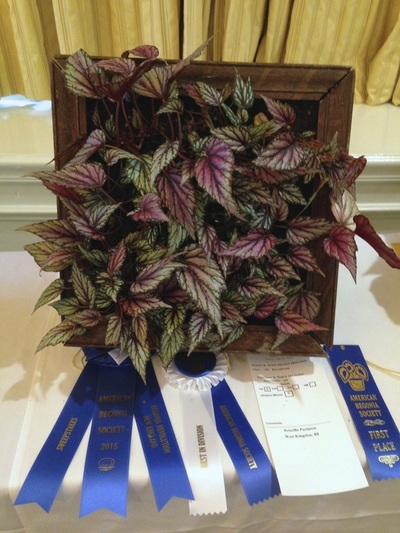 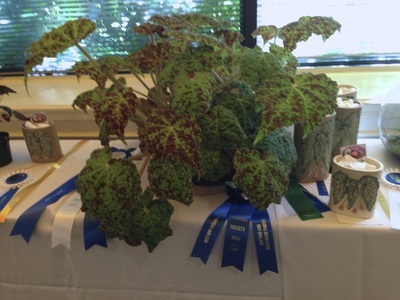 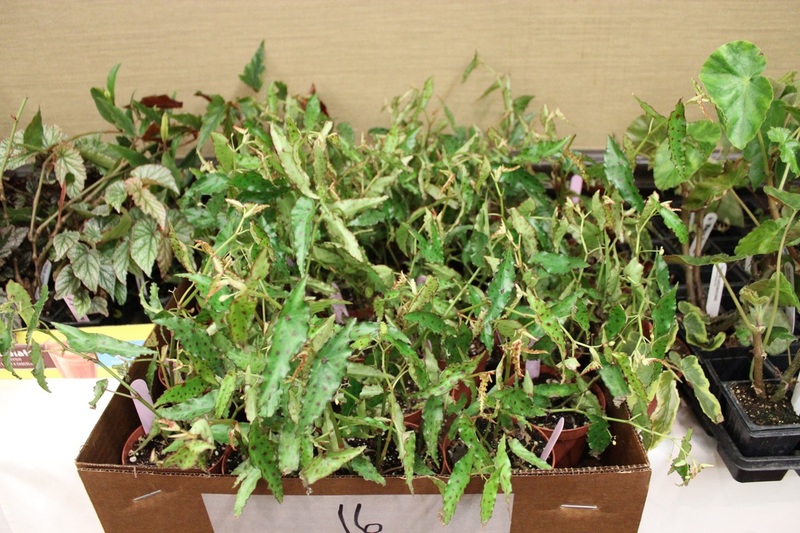 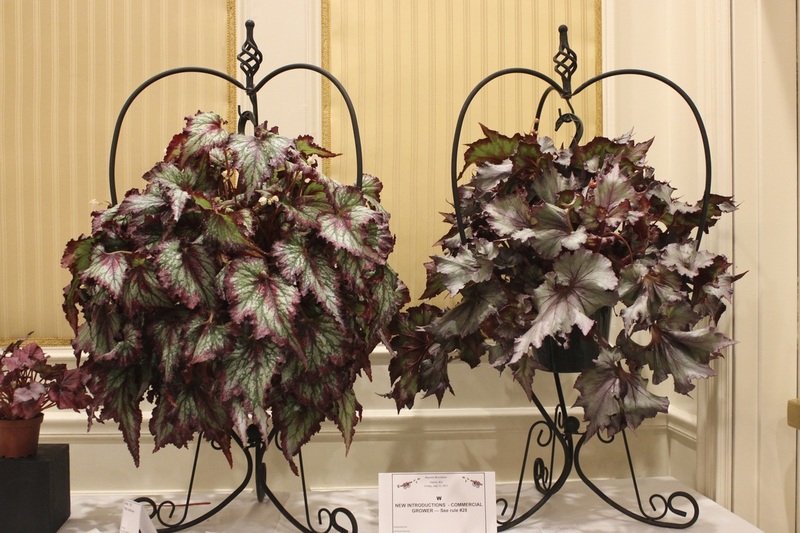 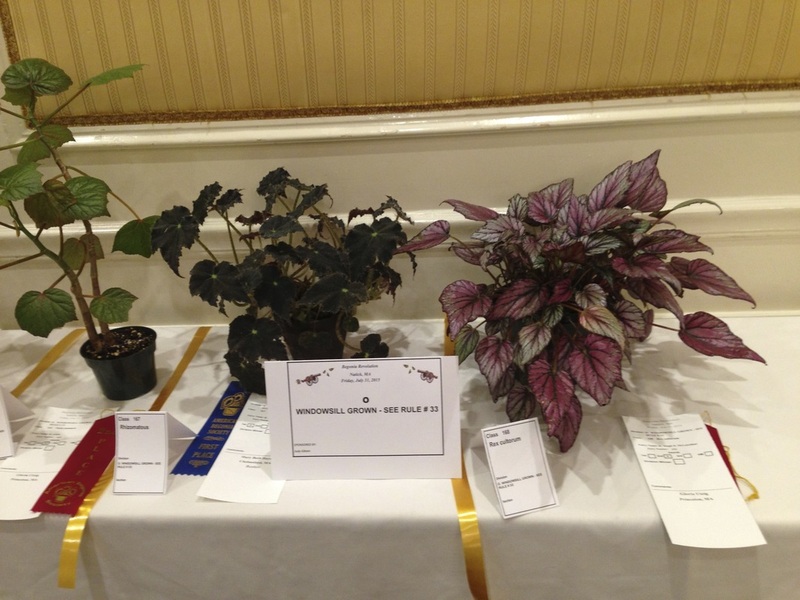 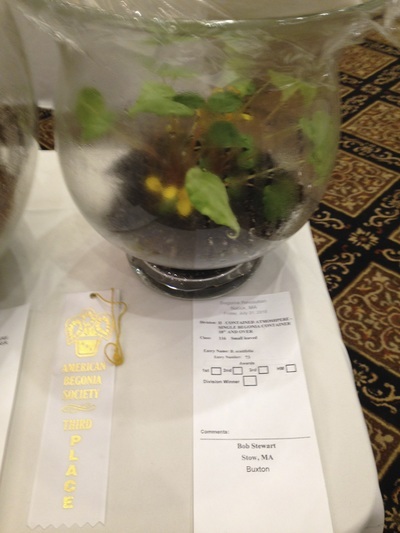 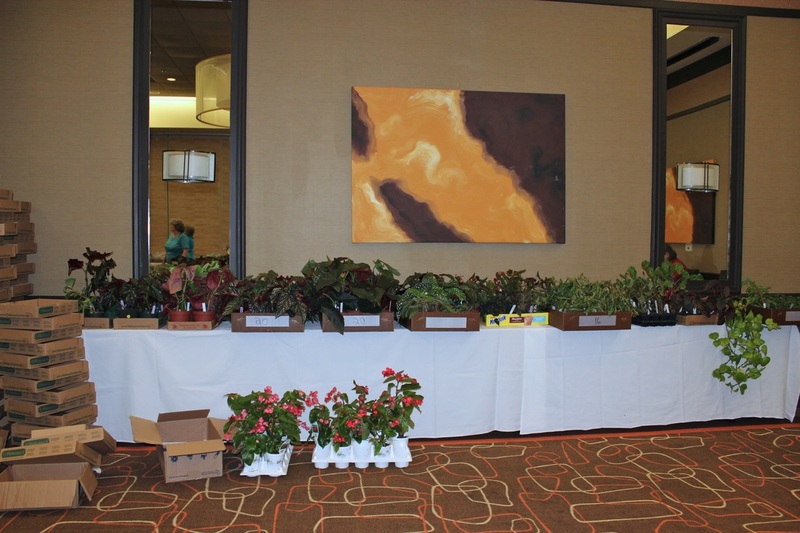 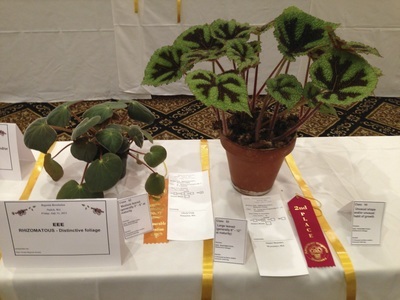 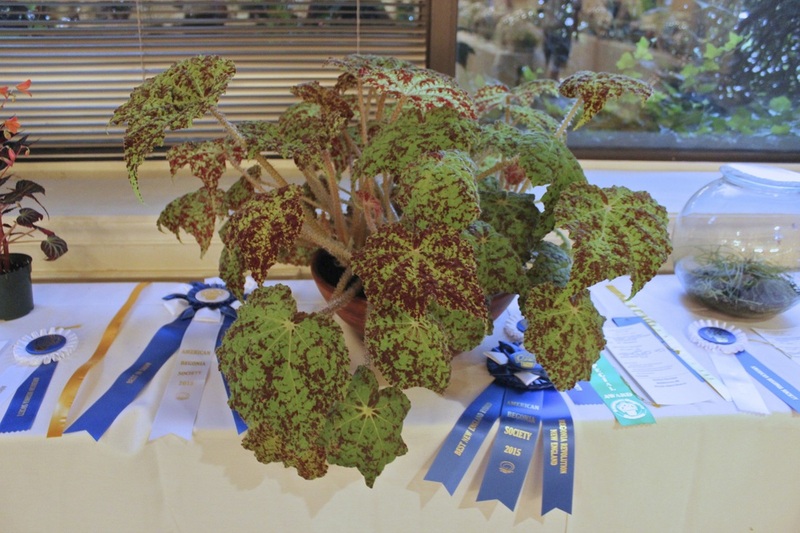 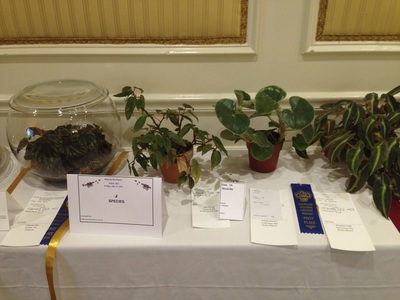 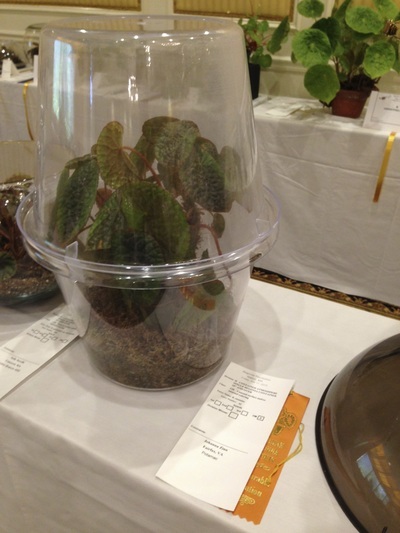 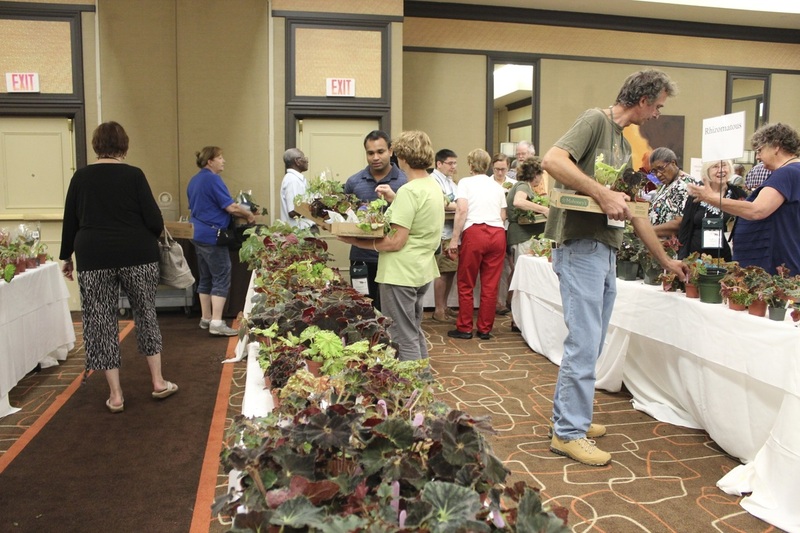 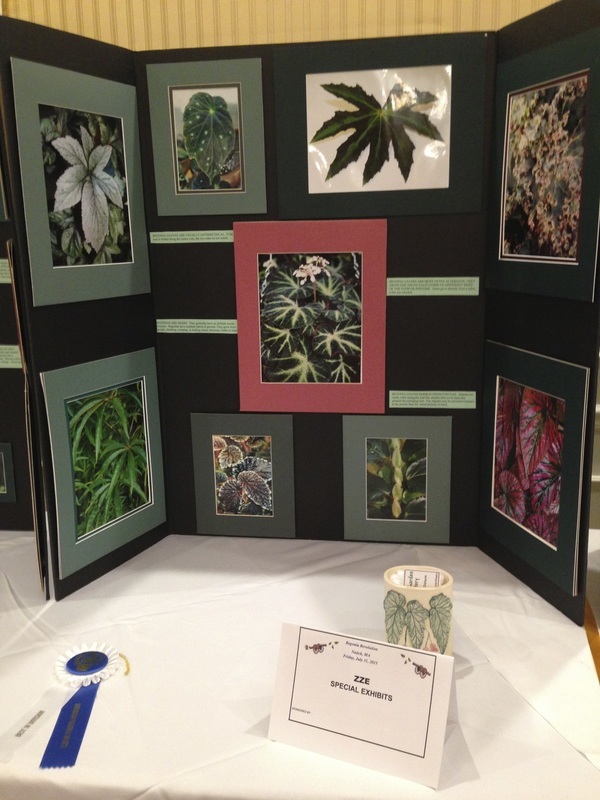 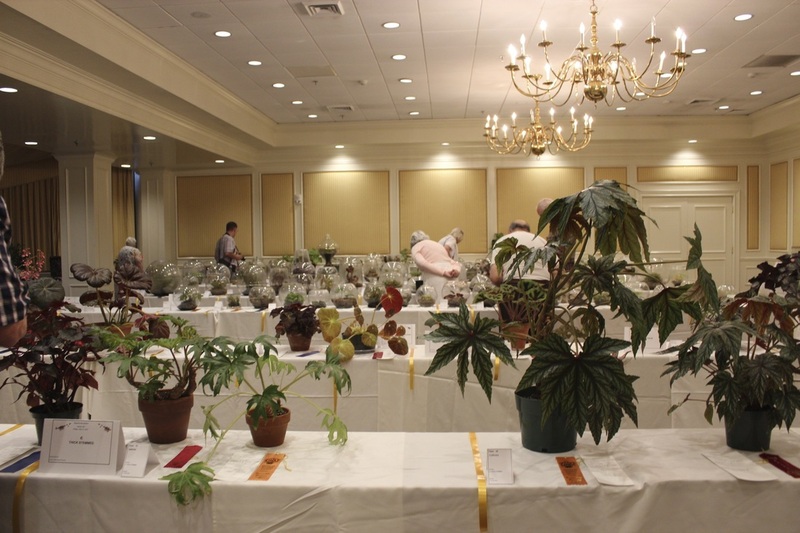 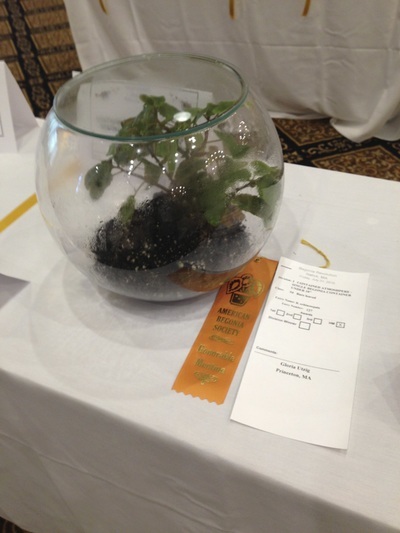 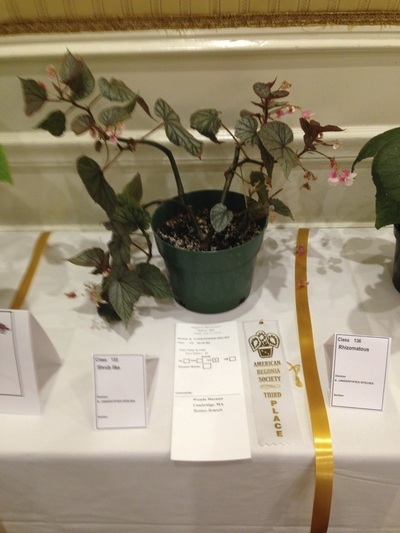 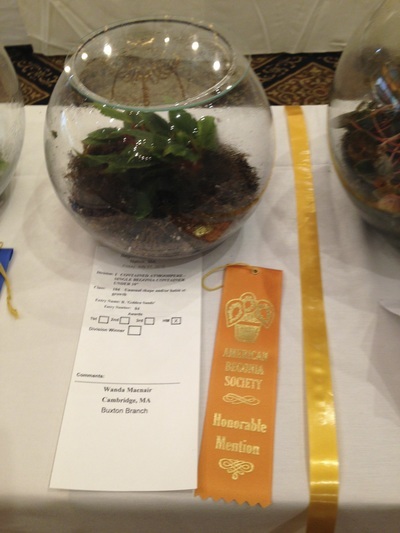 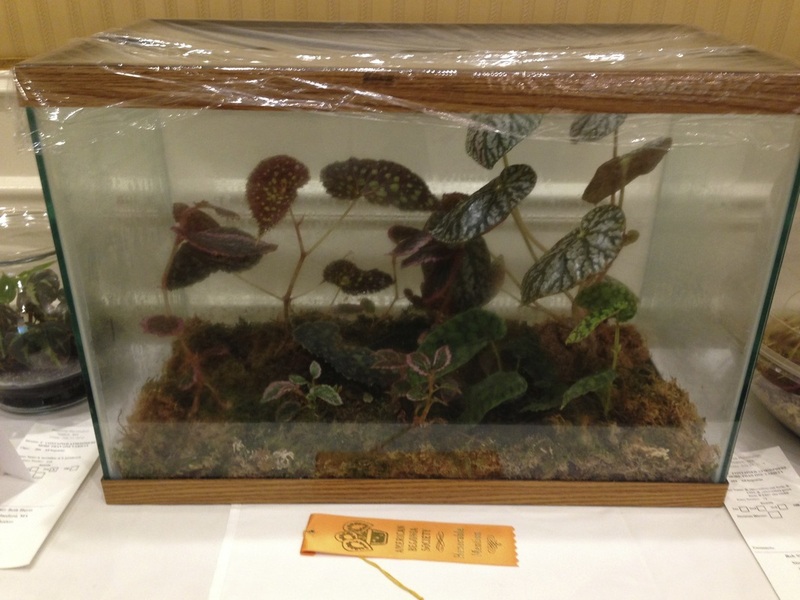 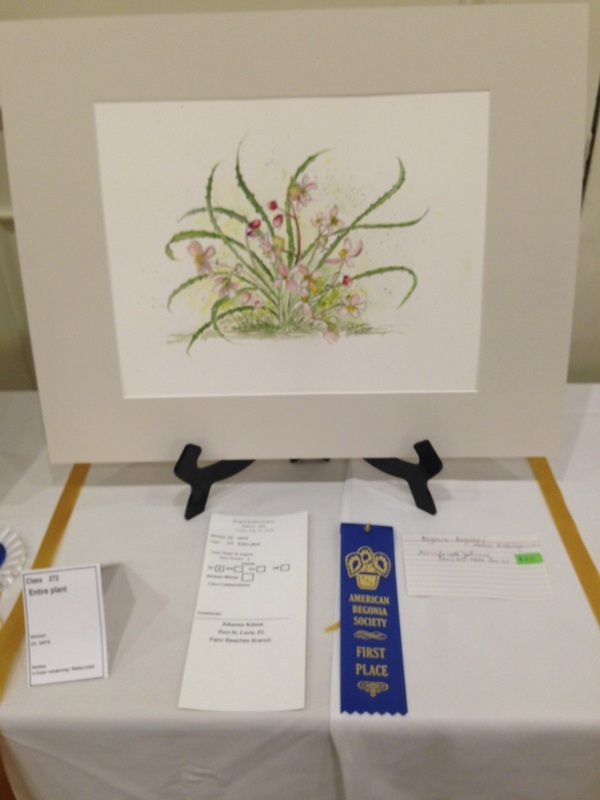 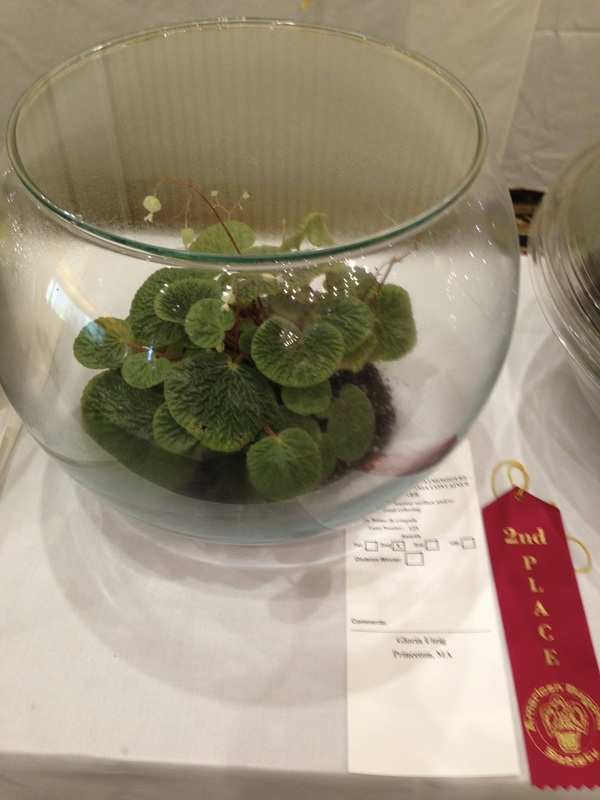 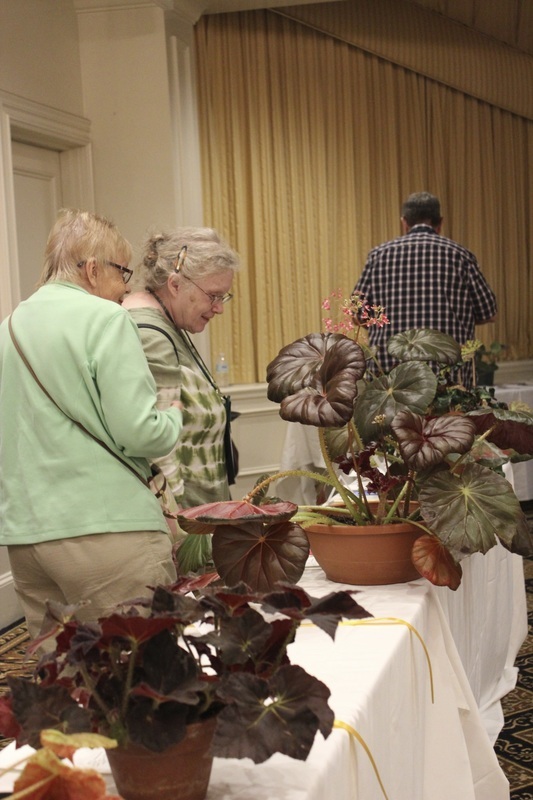 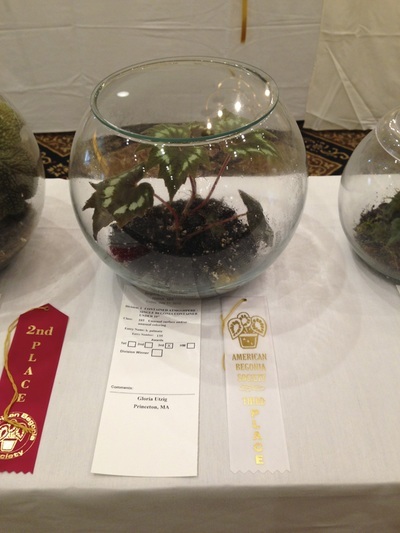 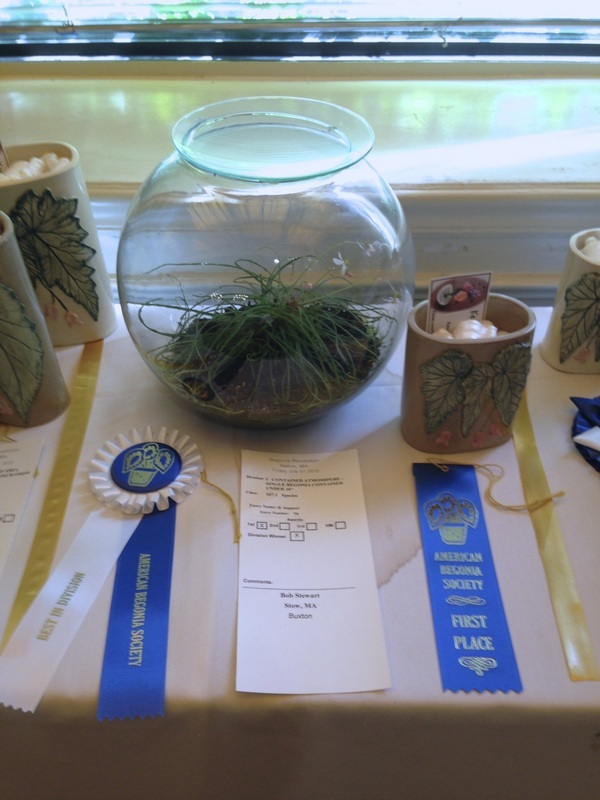 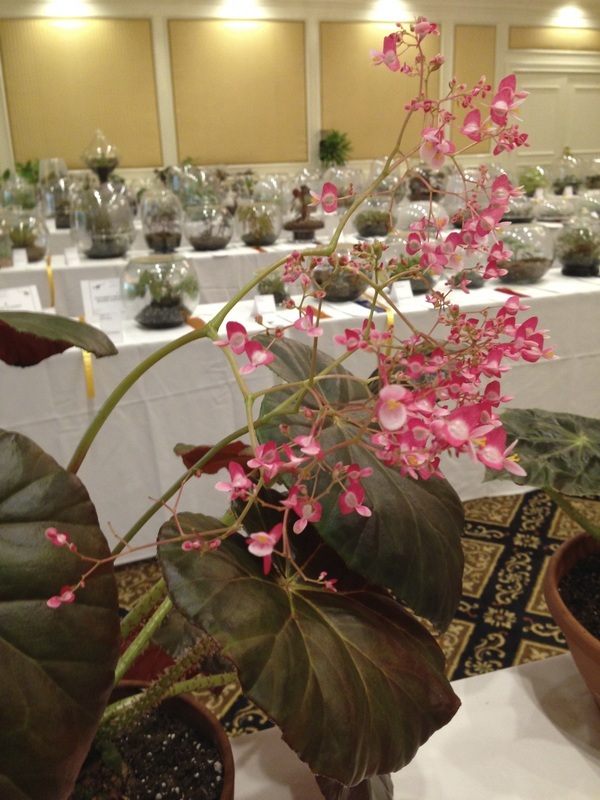 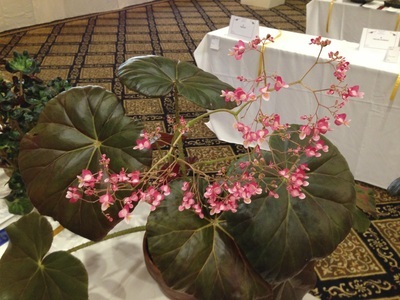 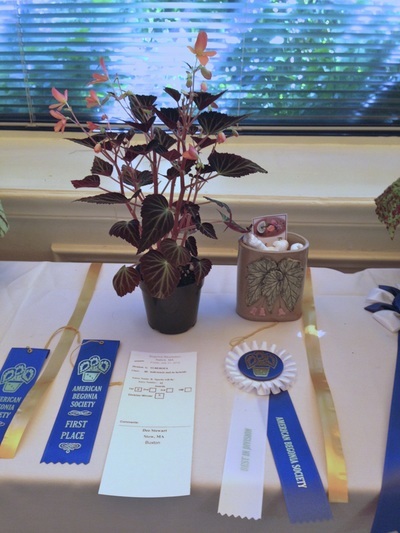 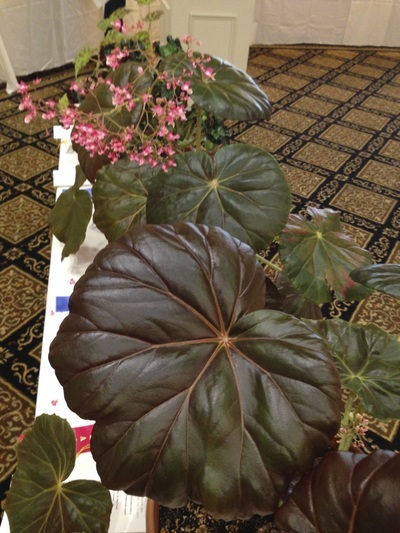 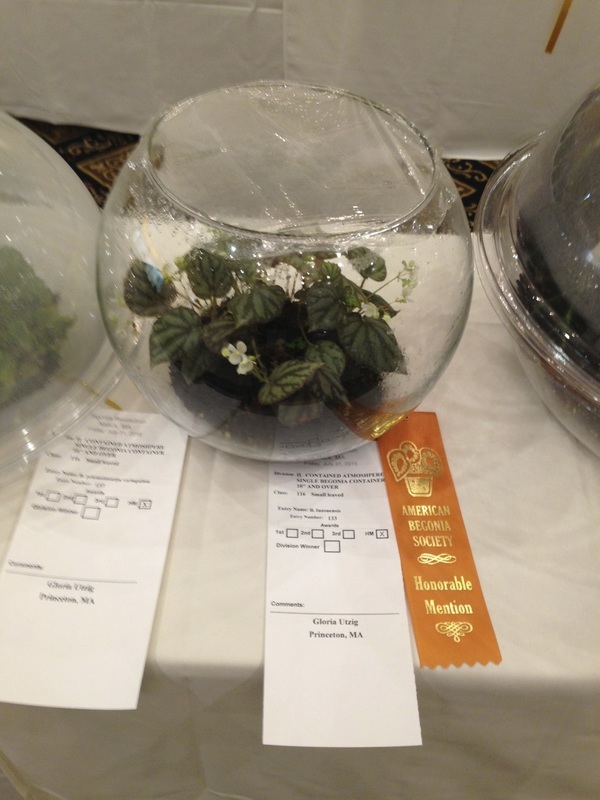 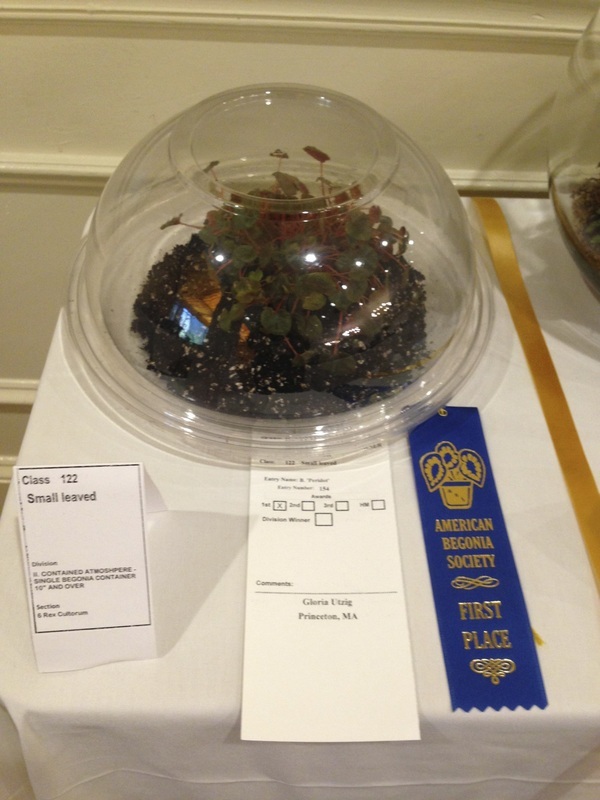 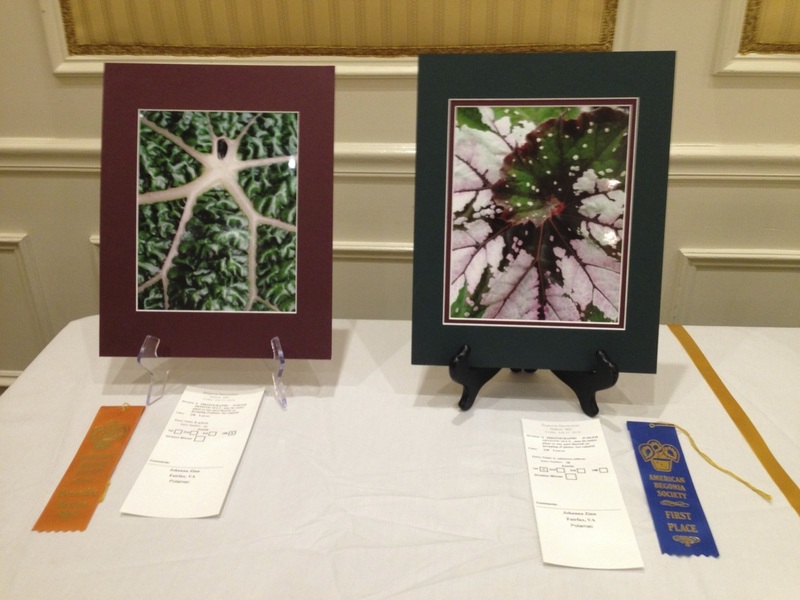 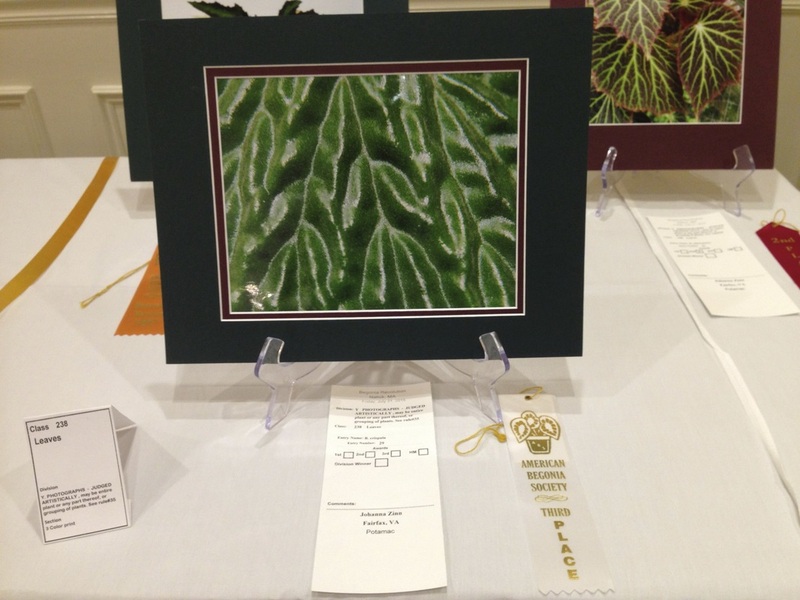 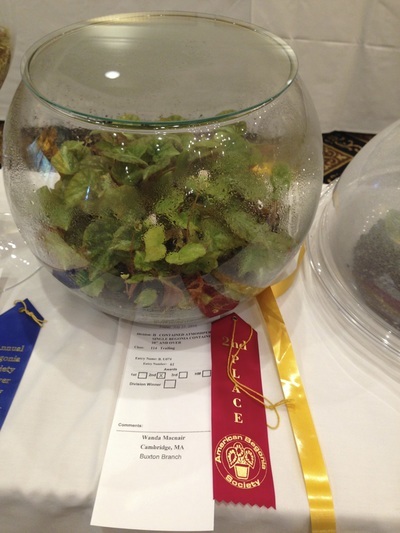 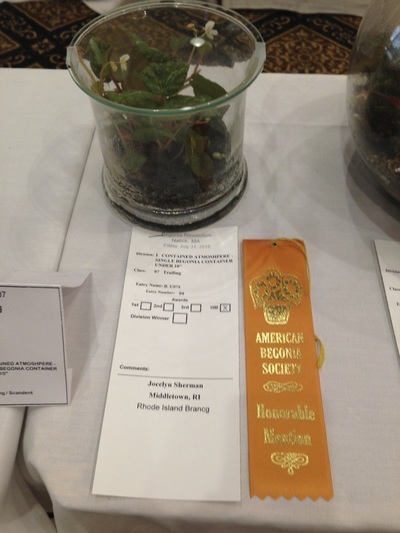 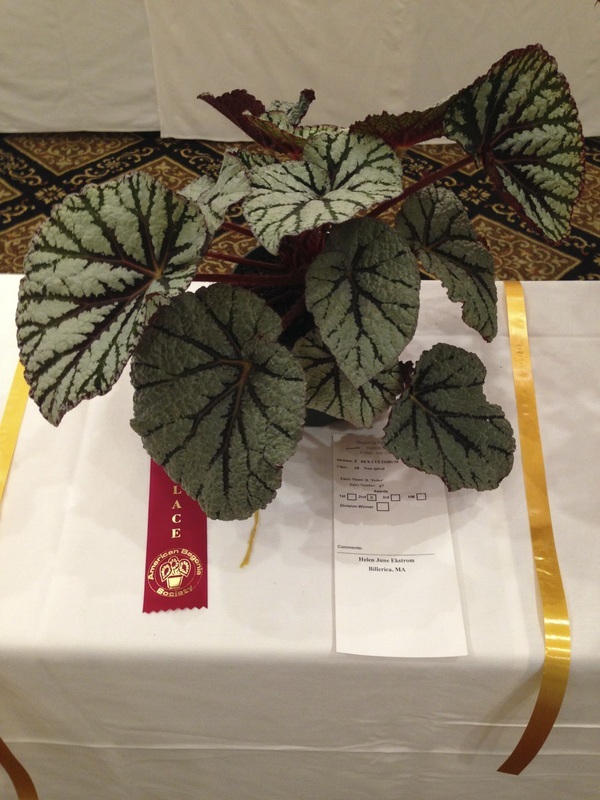 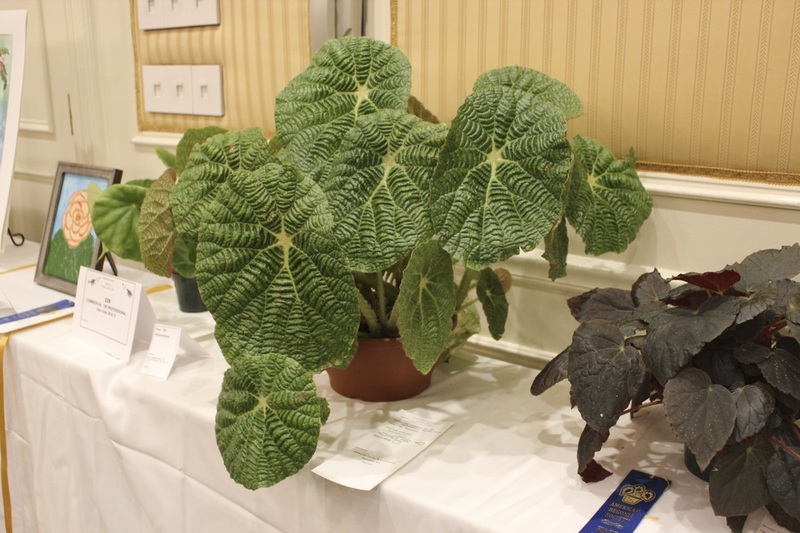 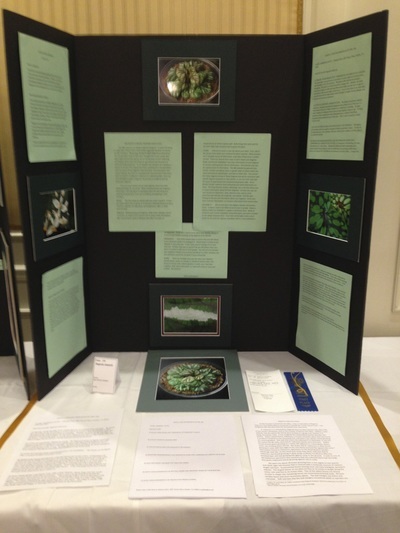 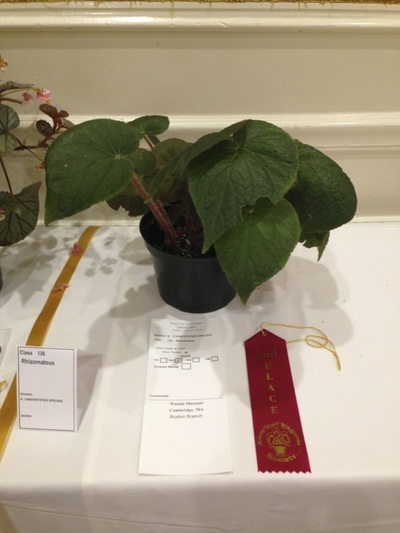 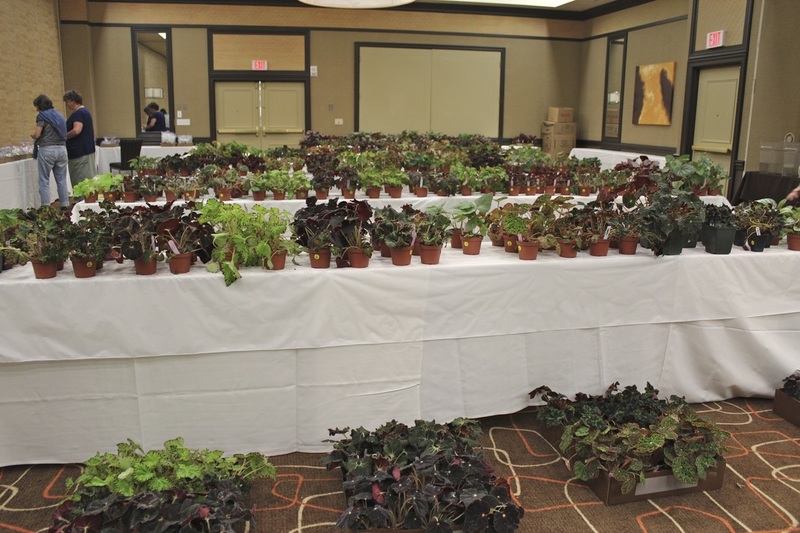 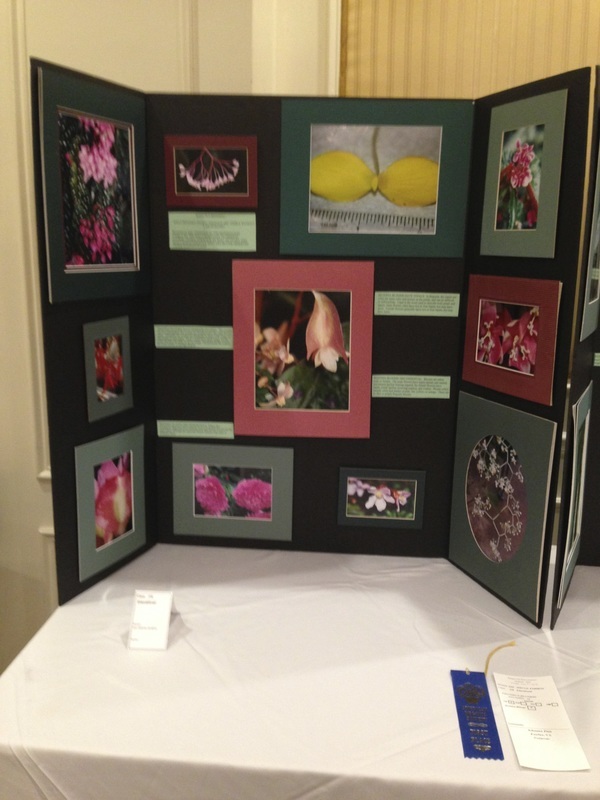 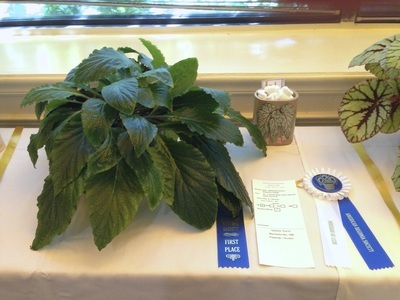 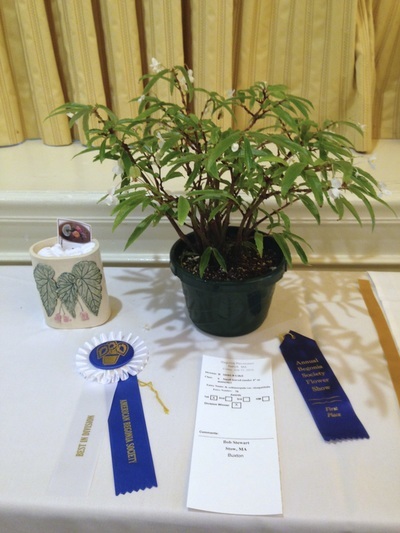 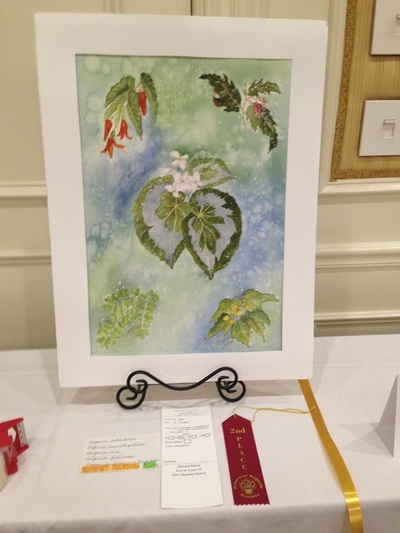 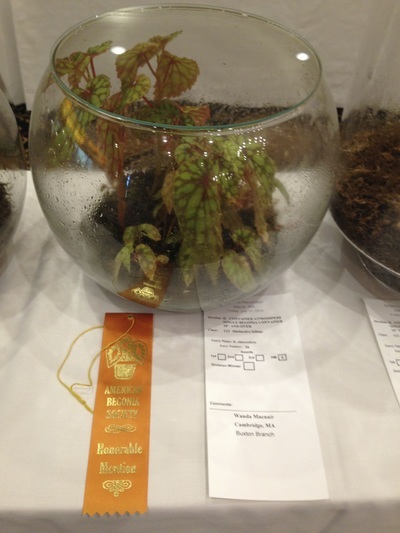 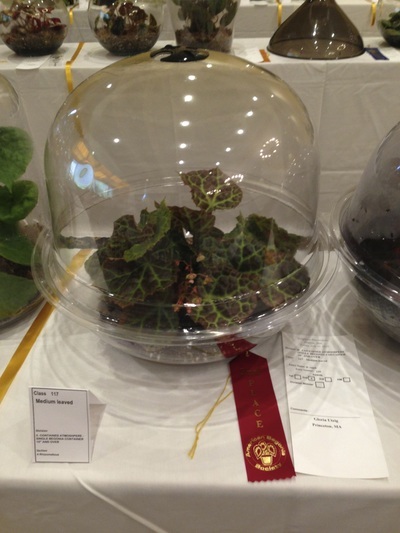 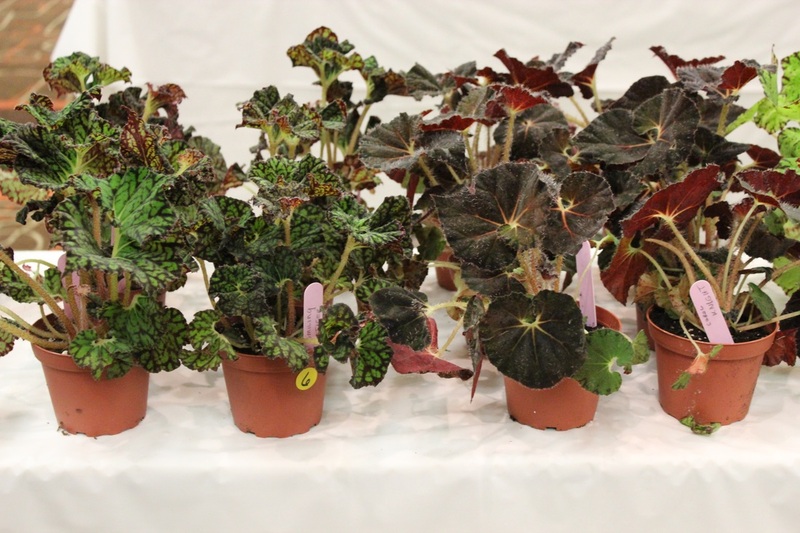 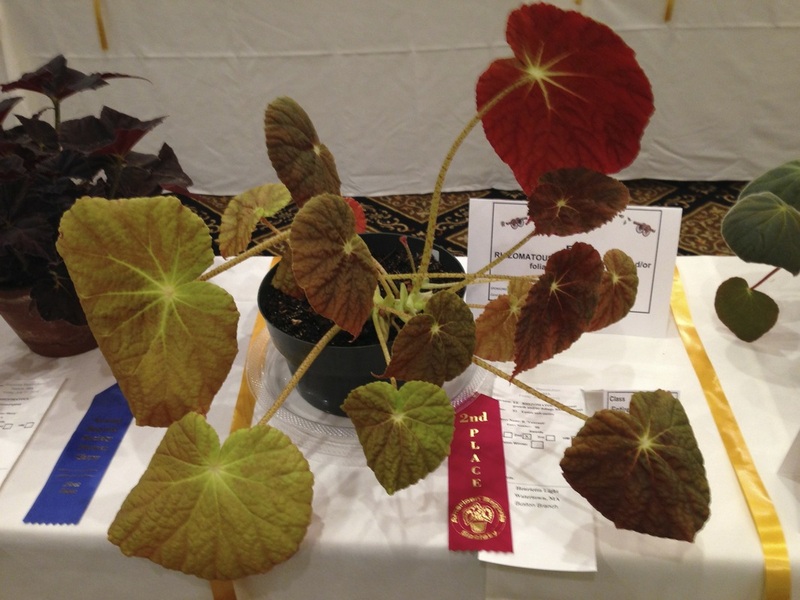 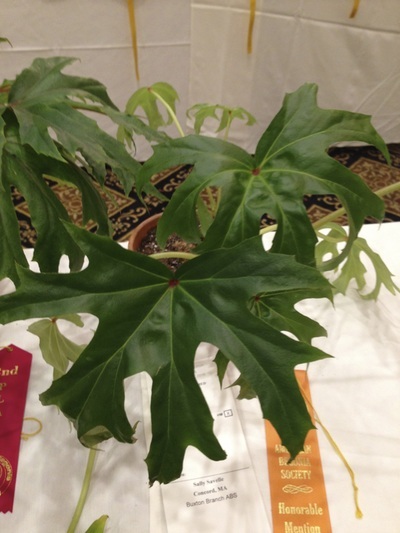 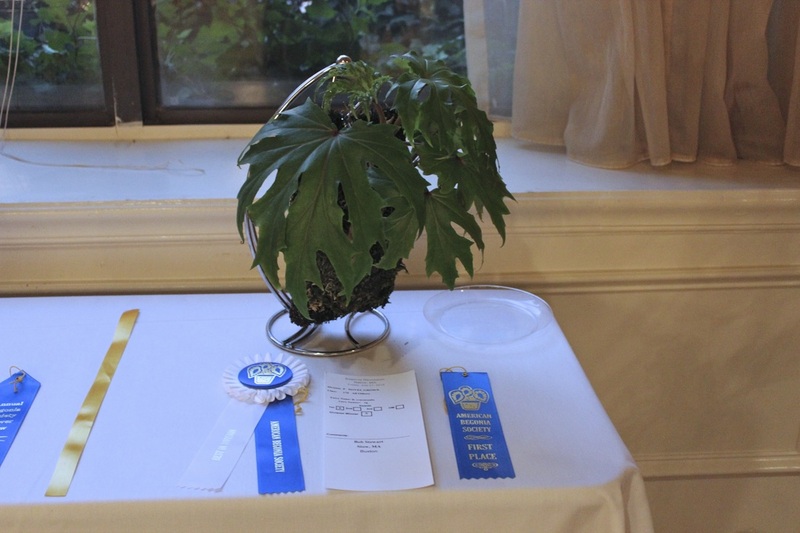 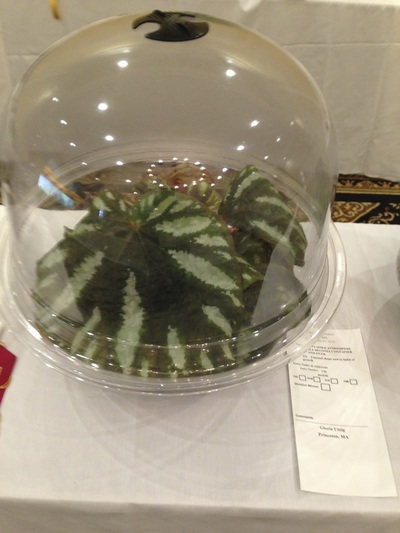 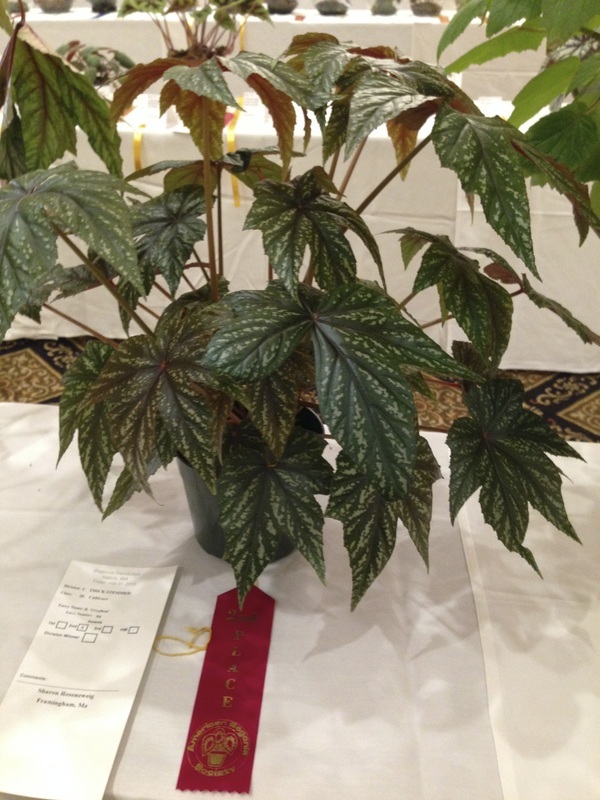 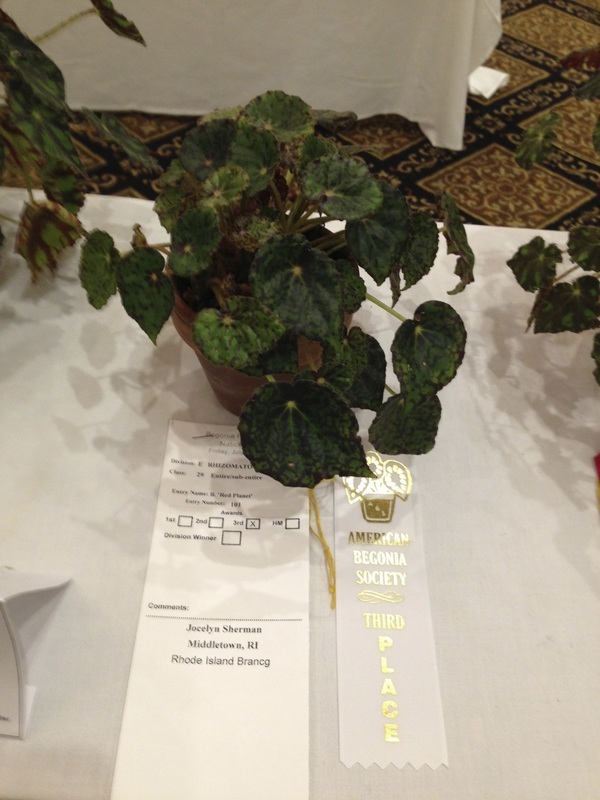 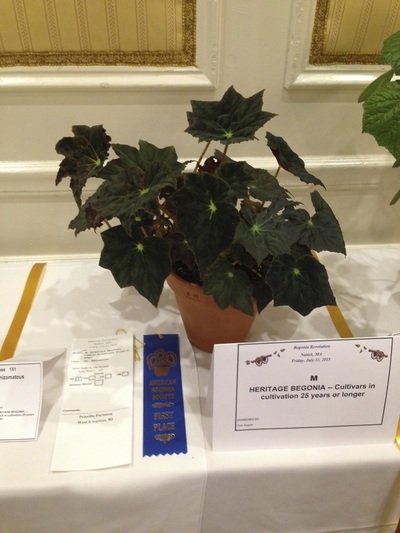 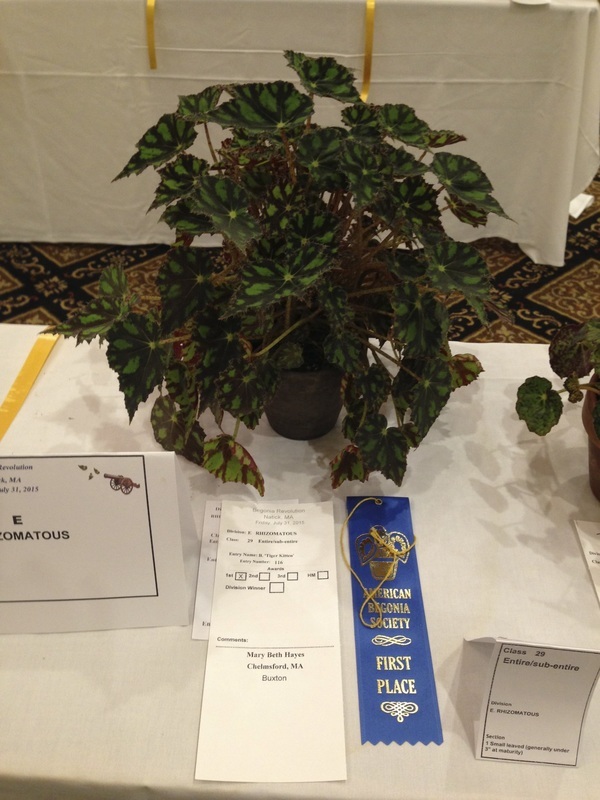 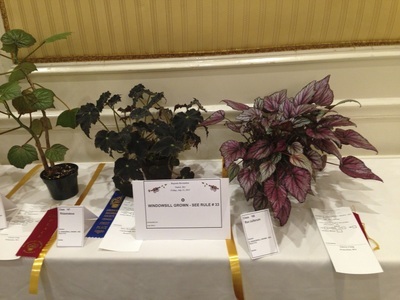 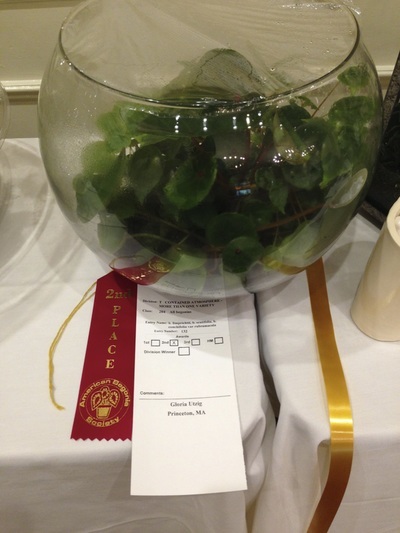 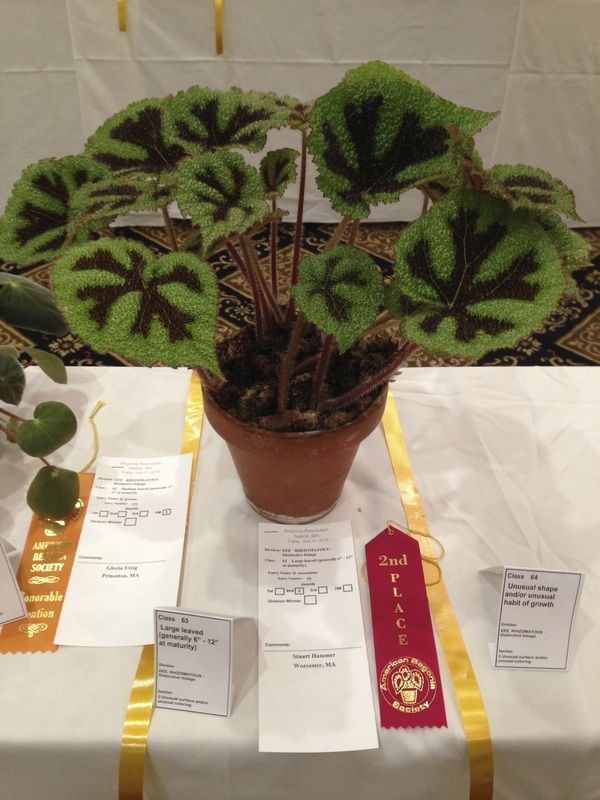 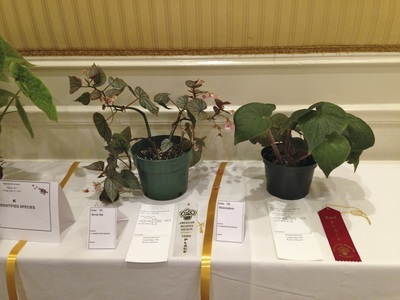 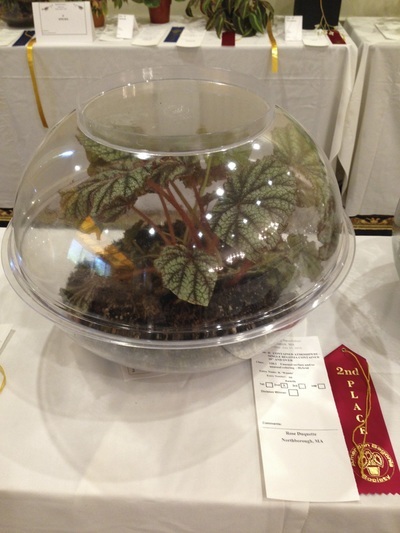 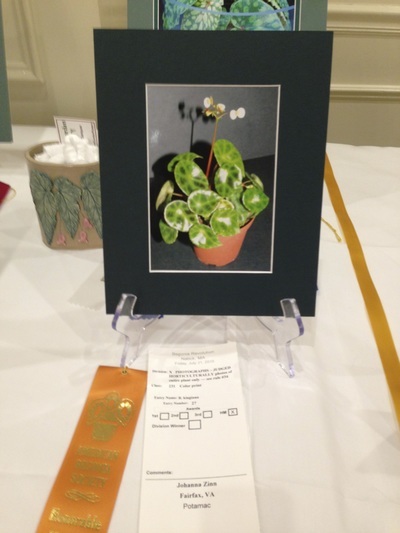 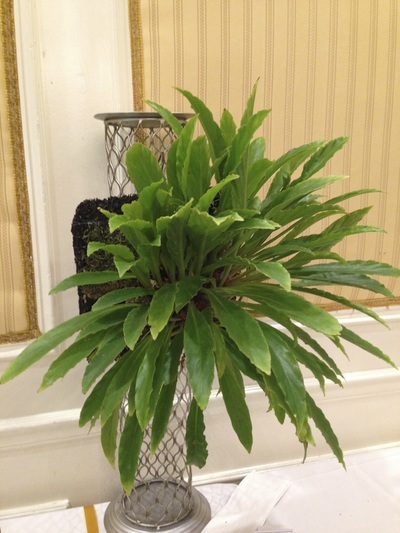 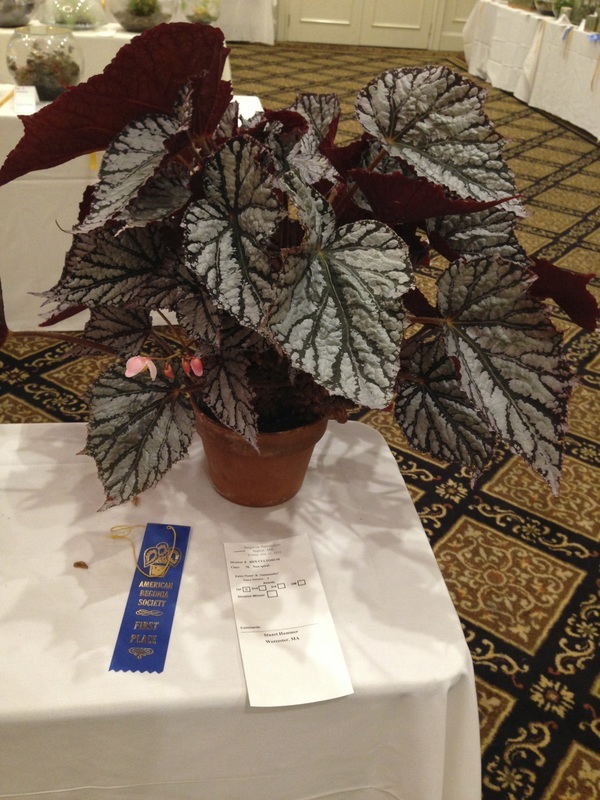 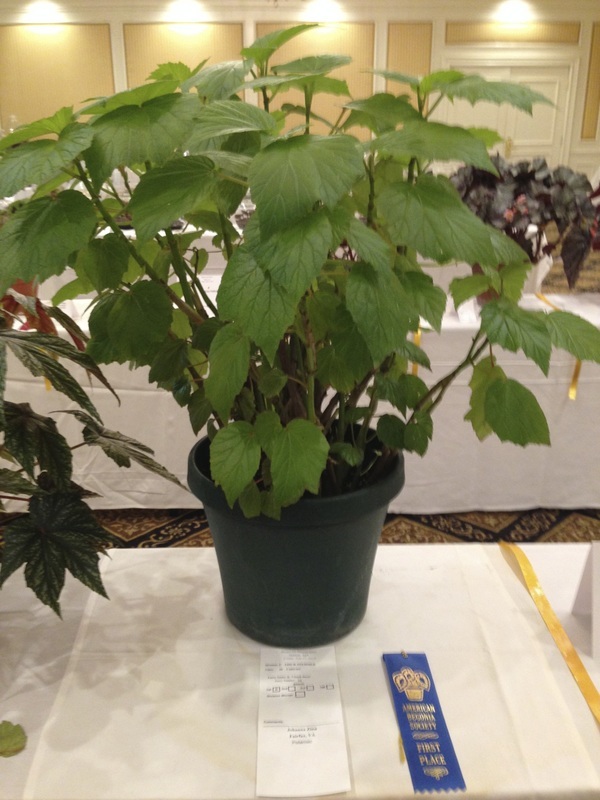 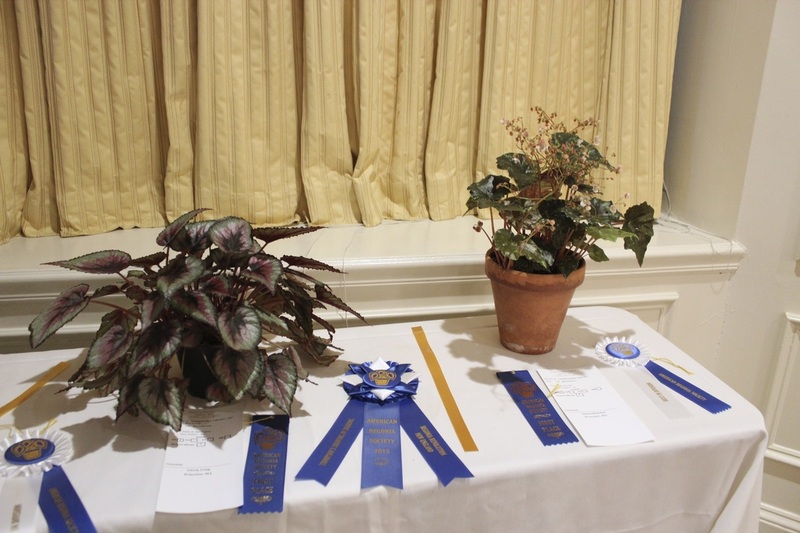 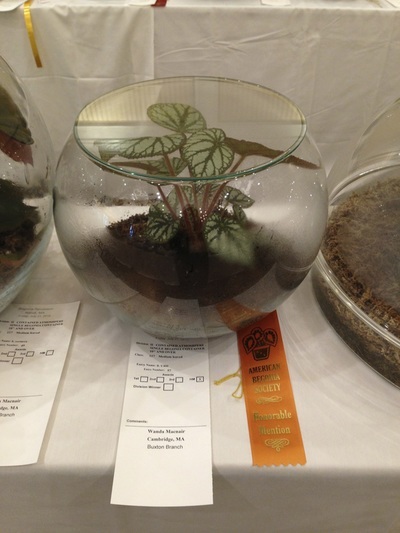 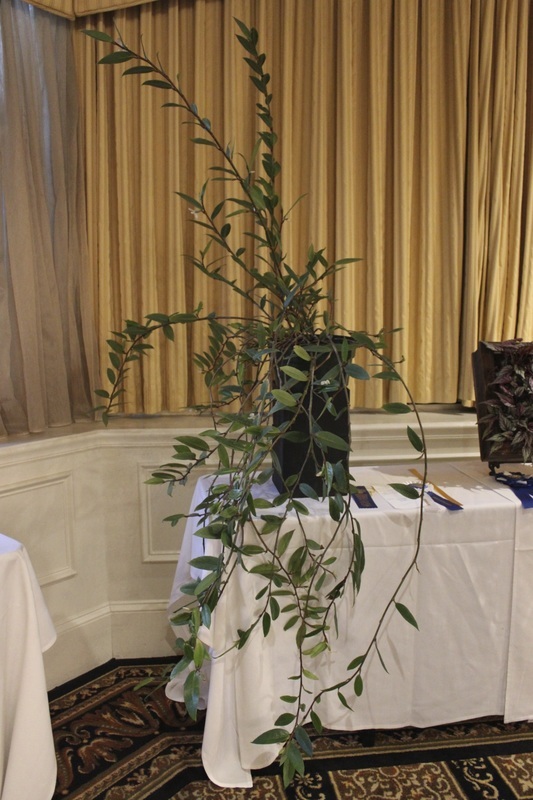 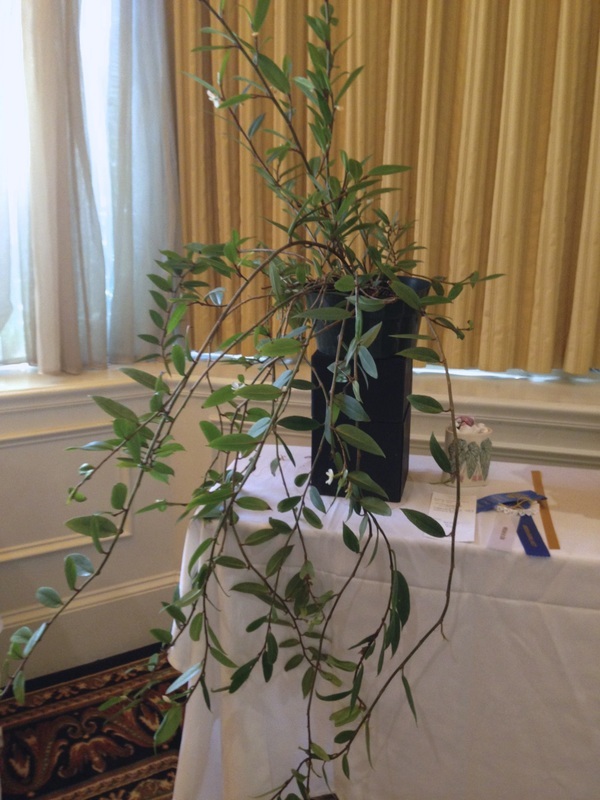 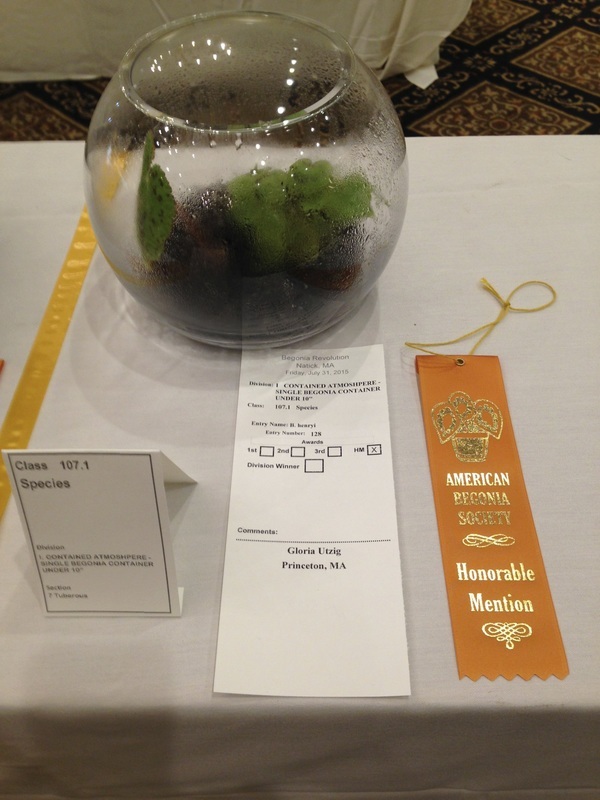 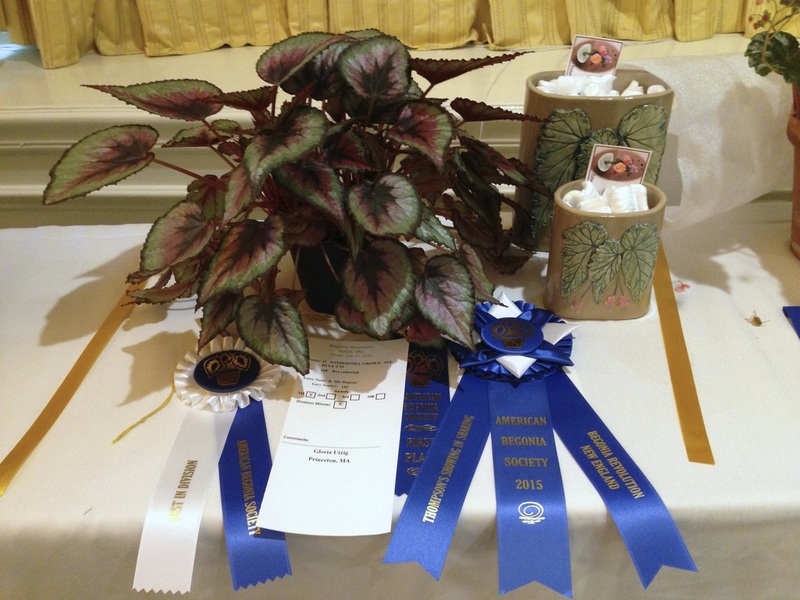 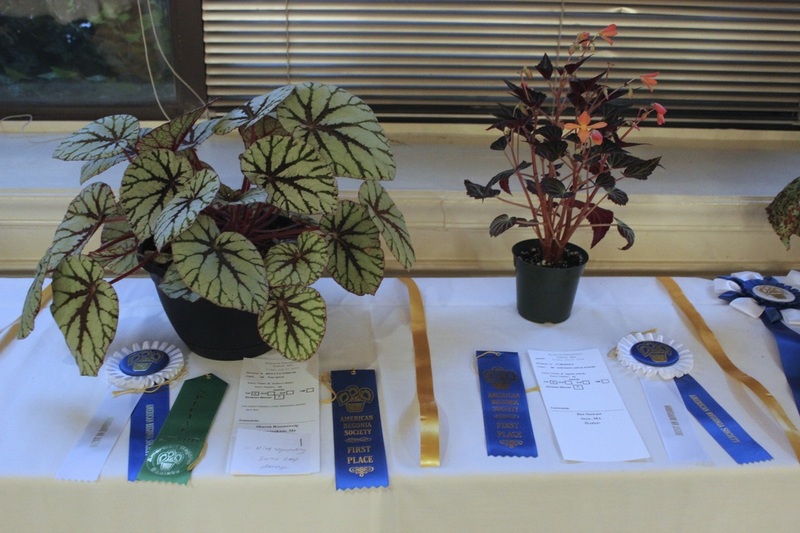 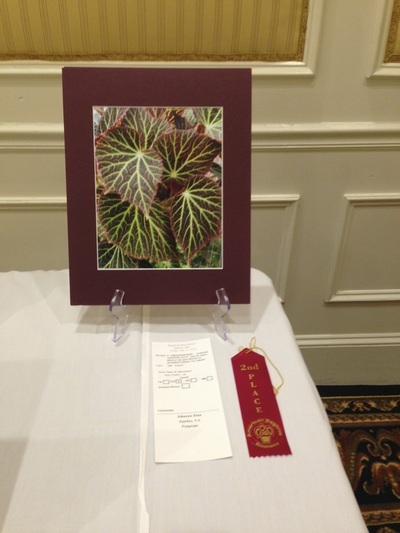 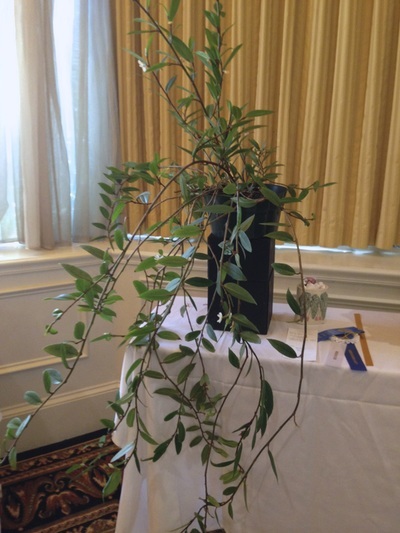 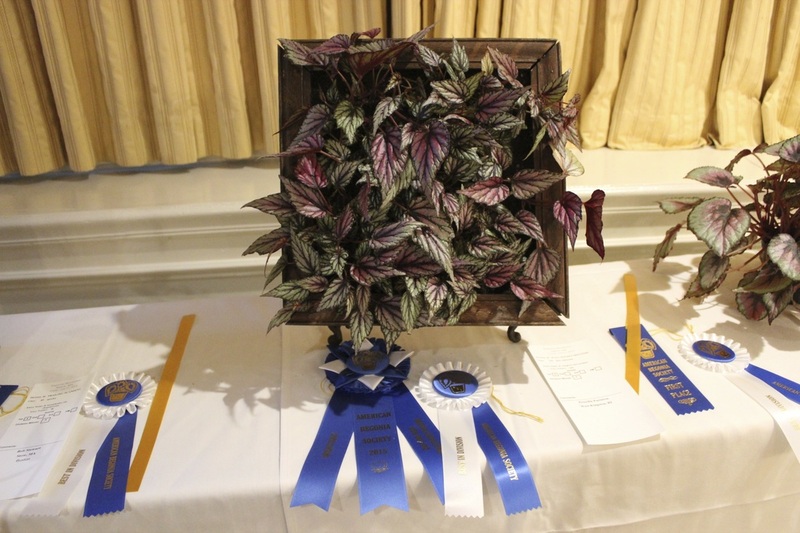 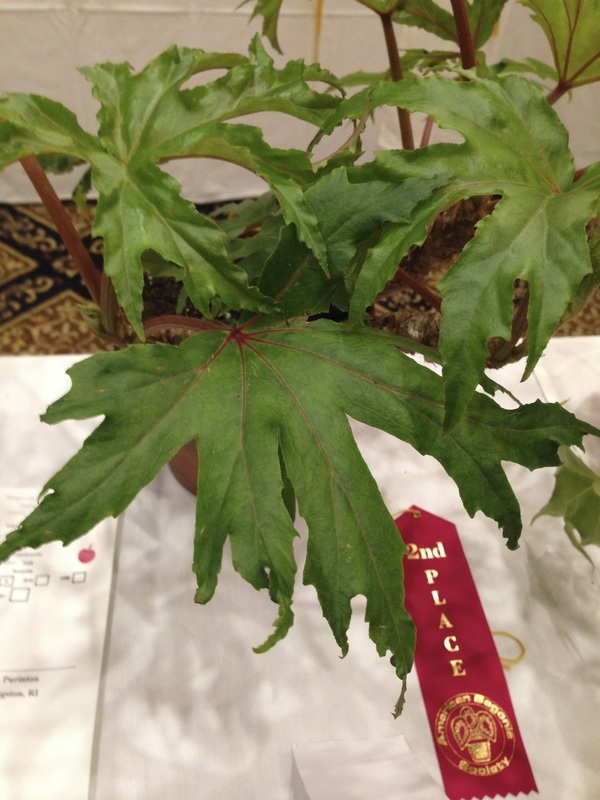 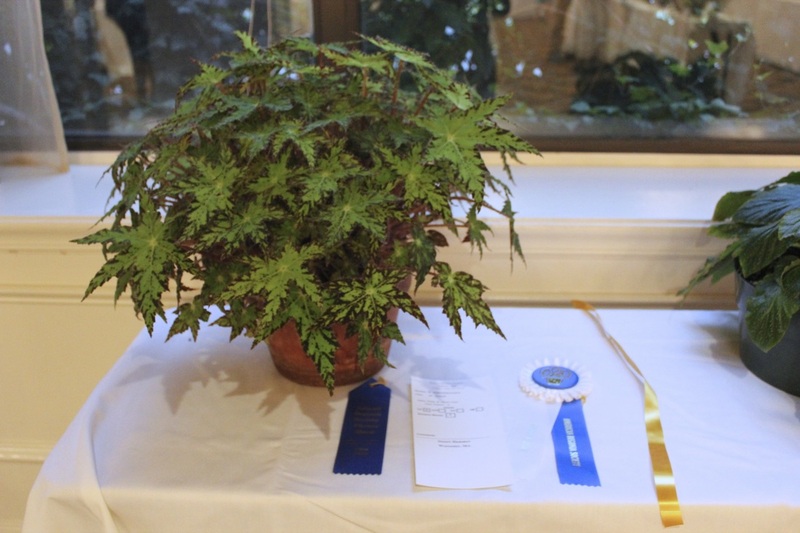 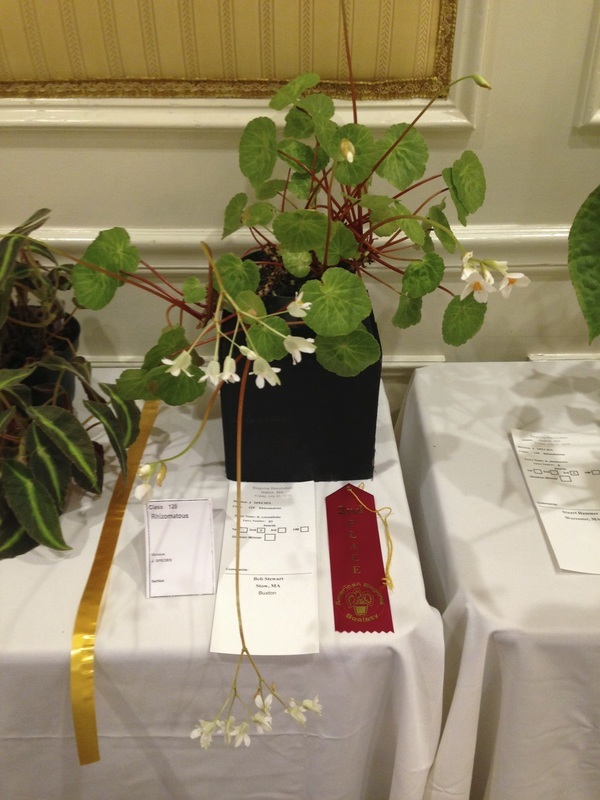 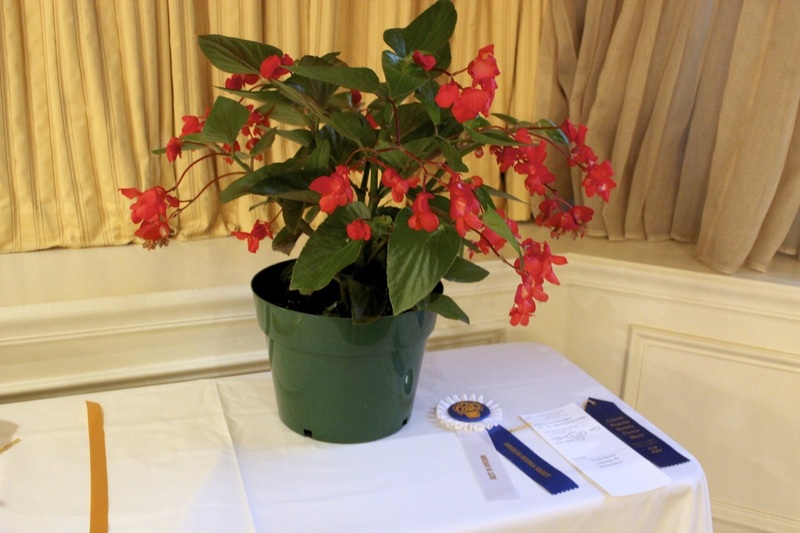 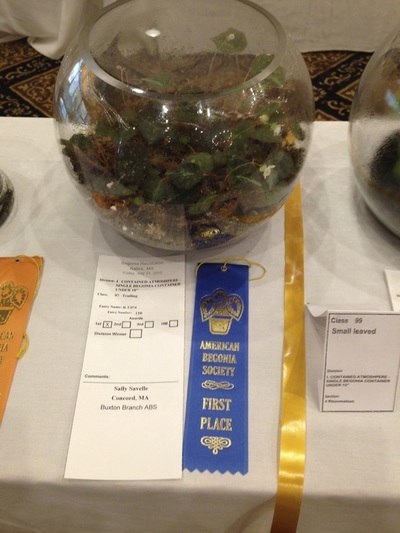 Our Buxton Branch hosted the American Begonia Society's Annual Convention in Natick, MA., July 29- August 2nd, 2015. 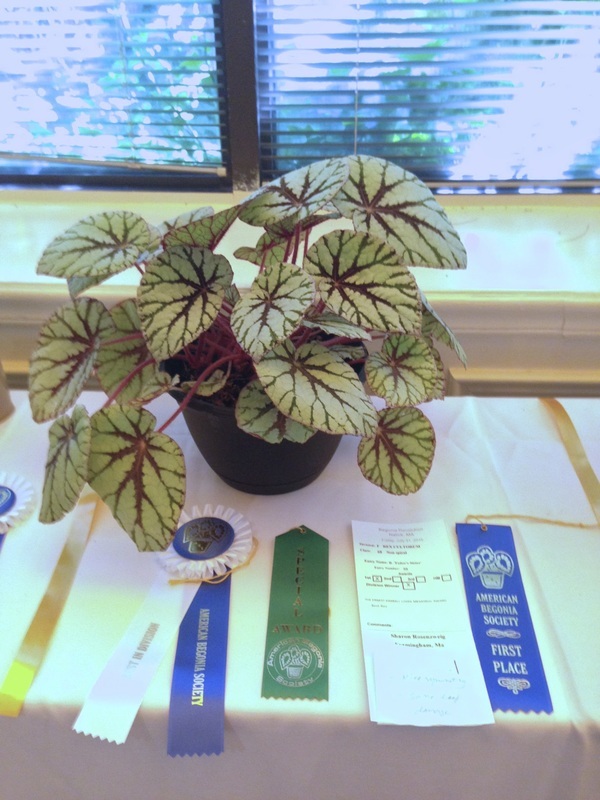 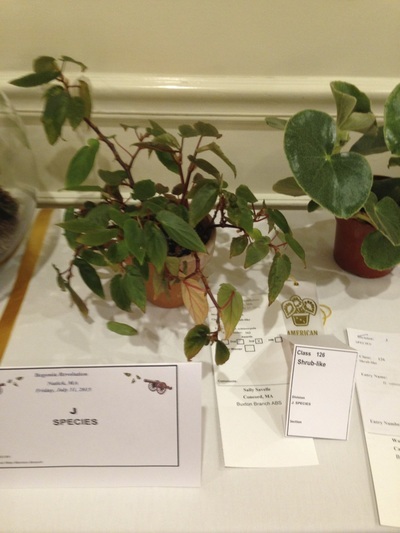 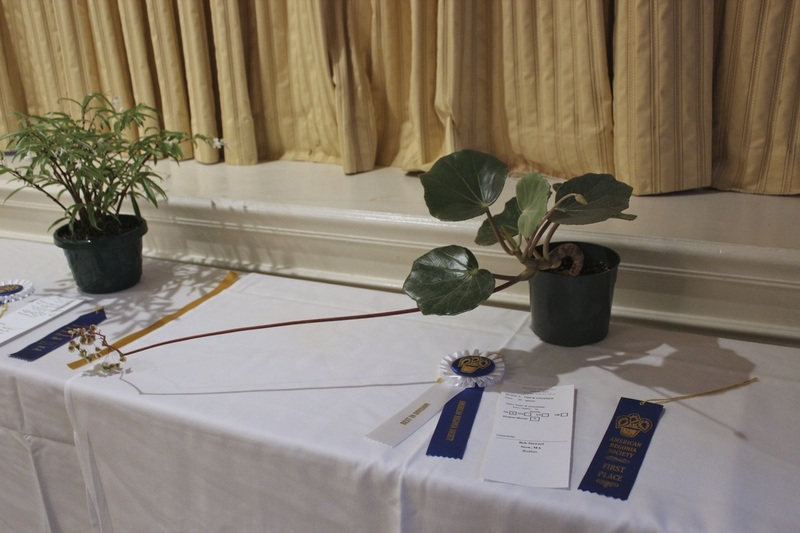 Here are a few quick snaps of the Plant Show and some of the Division Winners followed by a Gallery of Photos of the rest of the plants in the show, plus some photos of the Plant Sale Room. 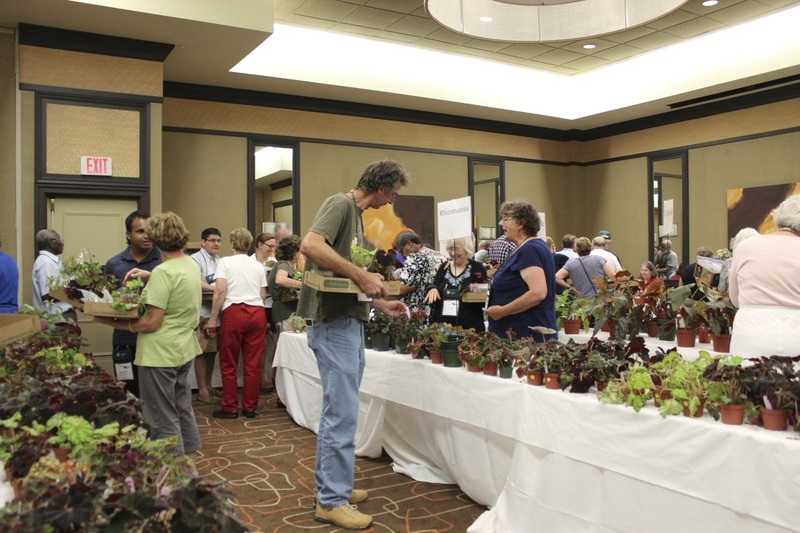 Apologies for not having labels on all of the photos-- these were just quick pics taken by Gloria Utzig for personal use. 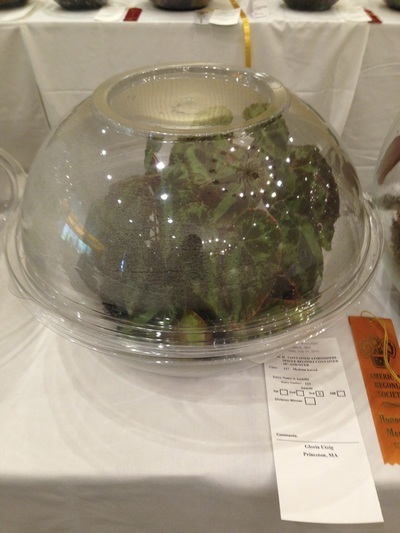 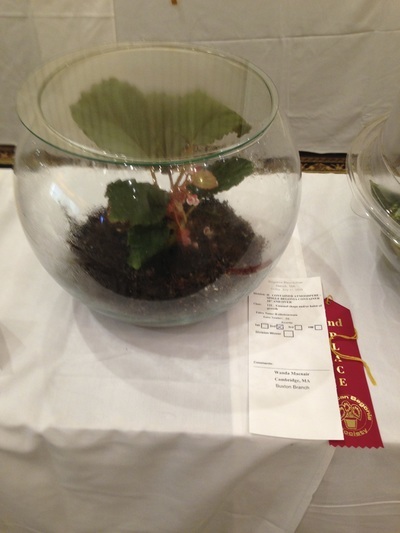 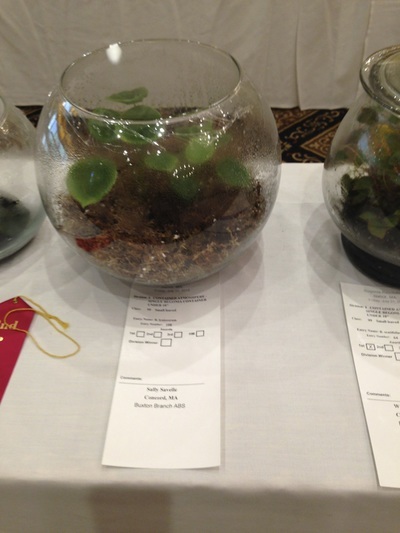 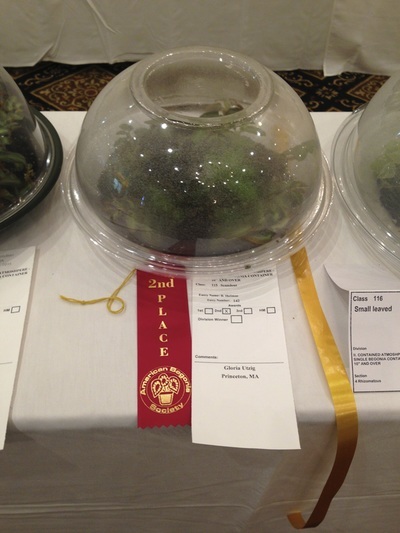 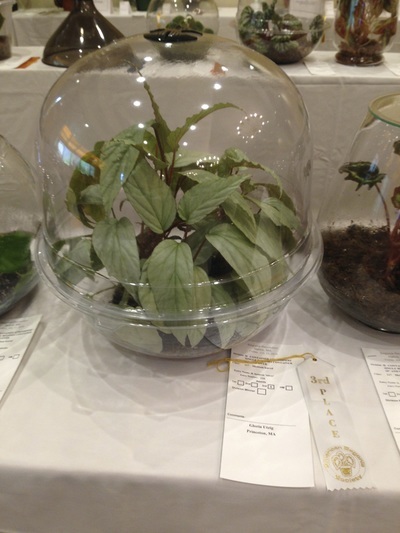 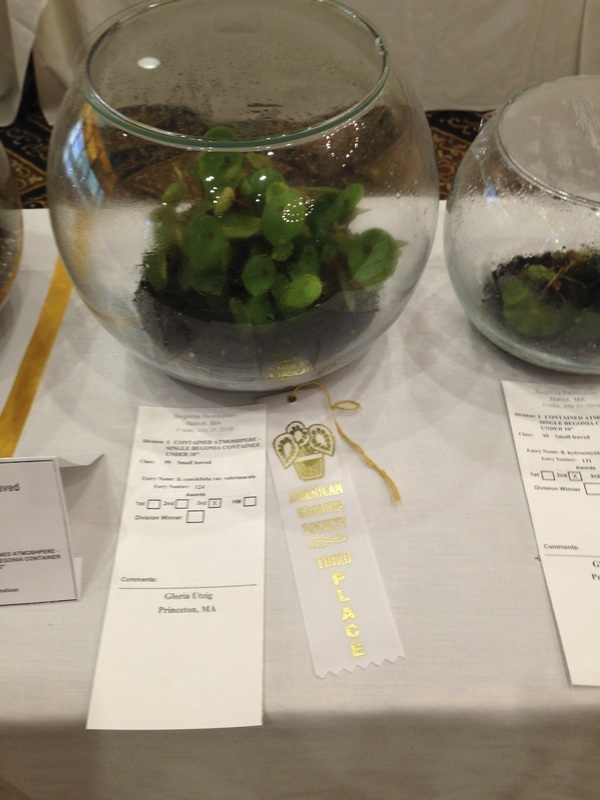 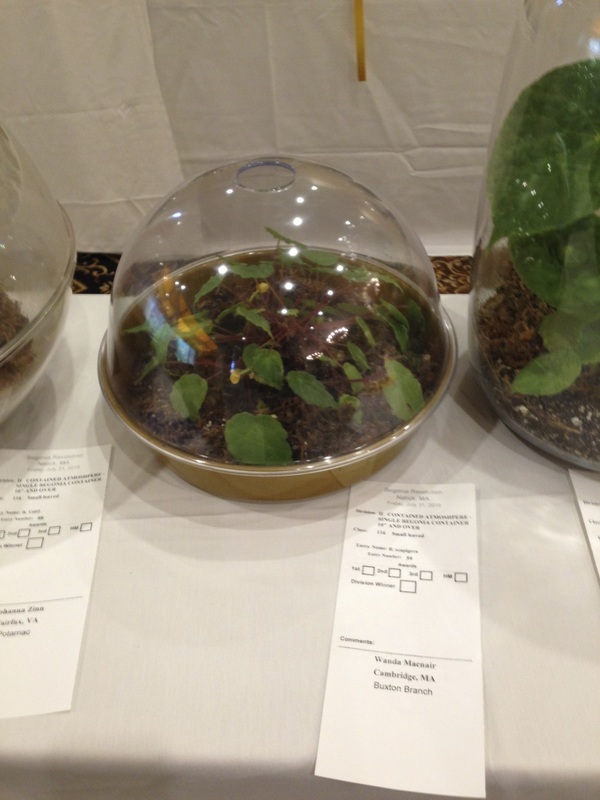 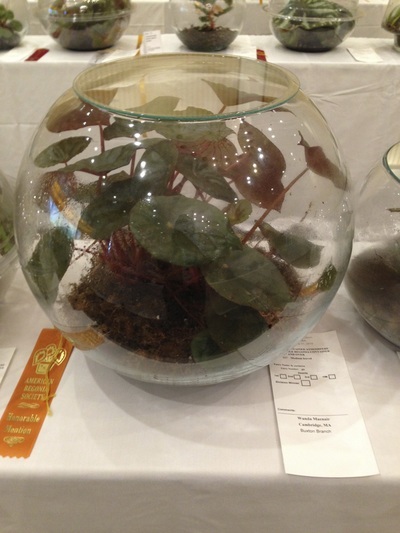 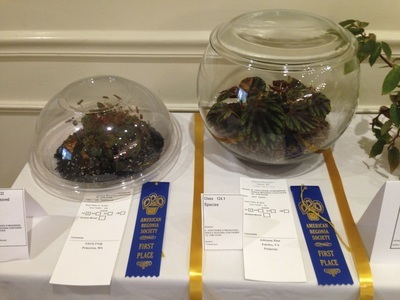 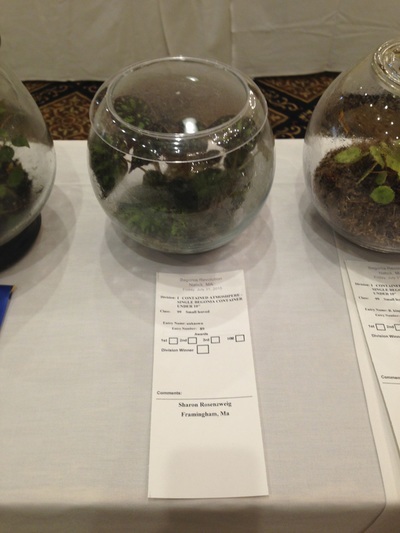 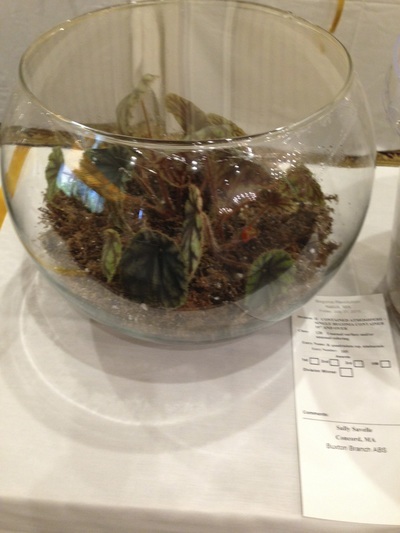 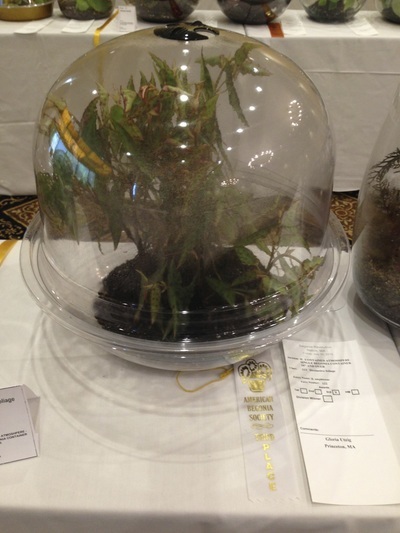 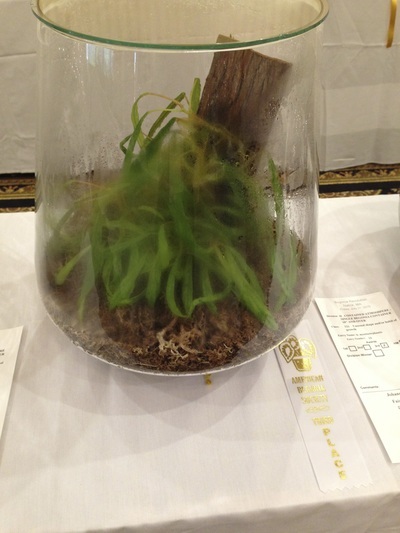 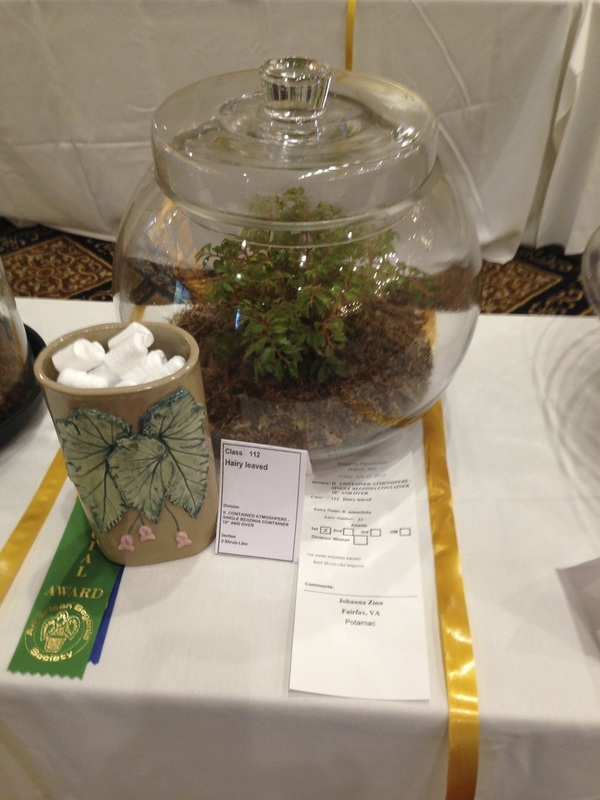 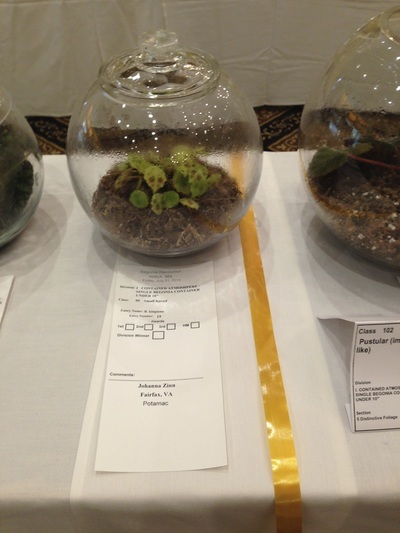 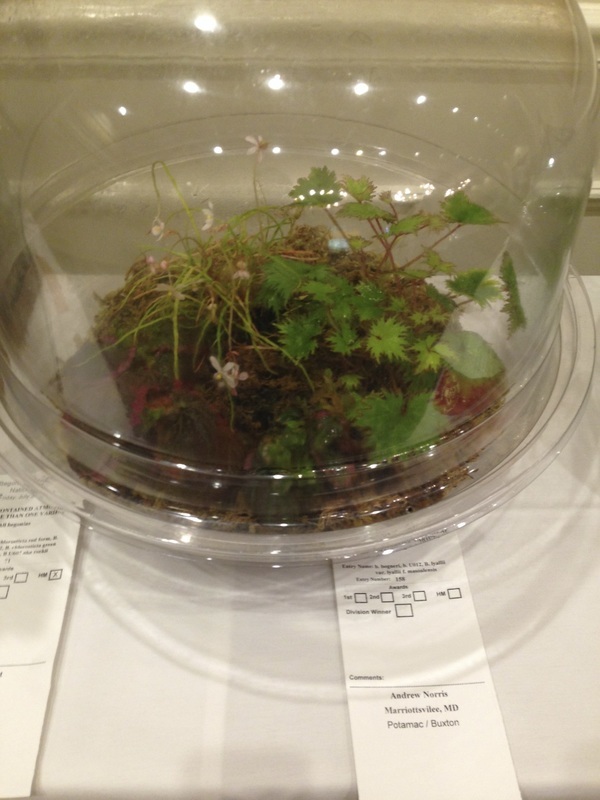 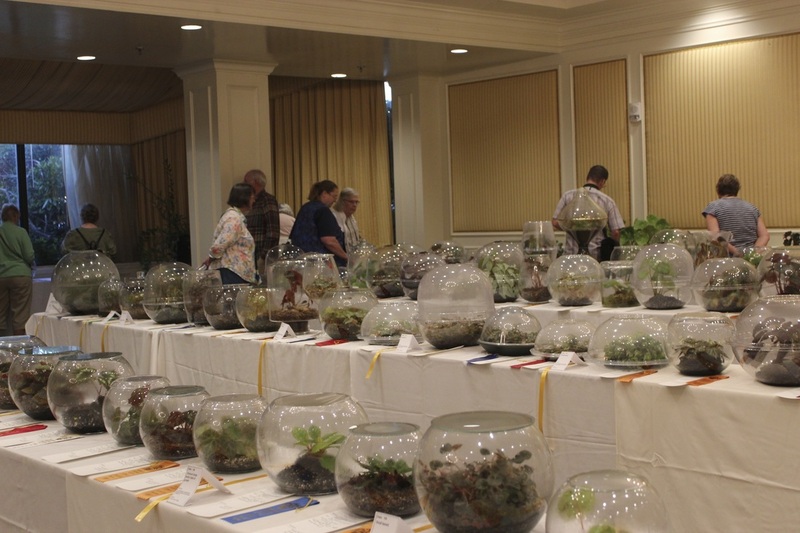 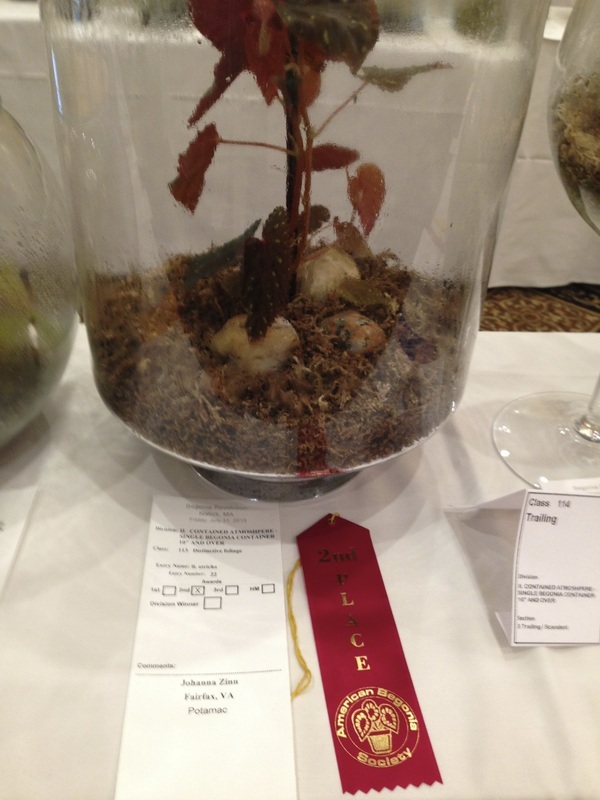 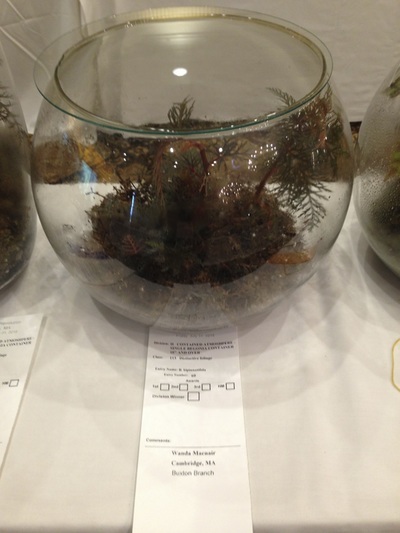 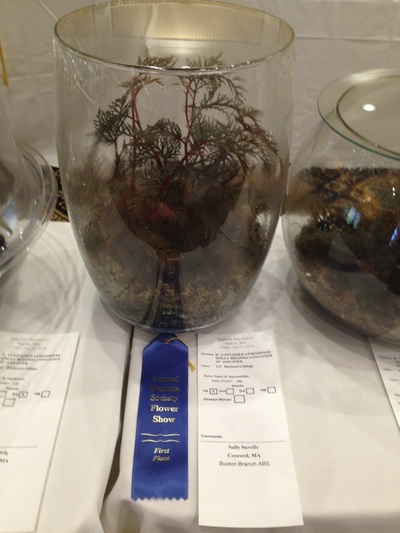 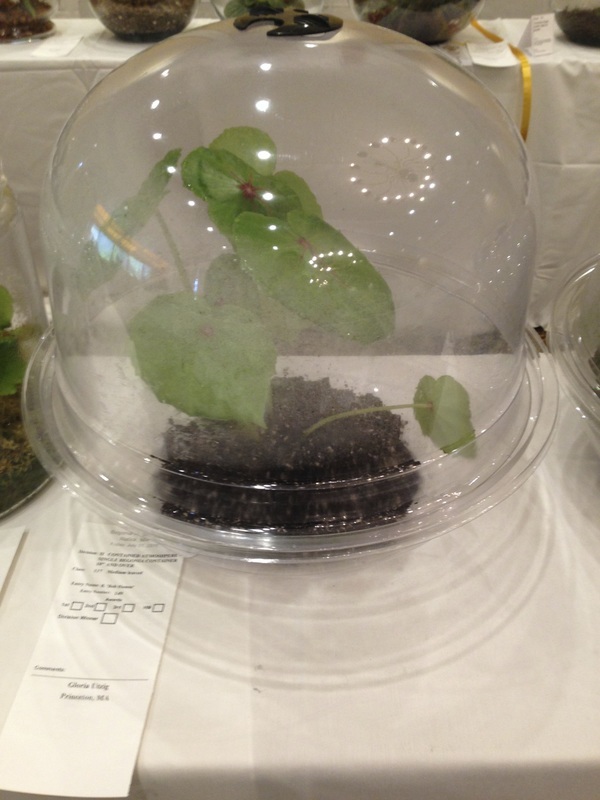 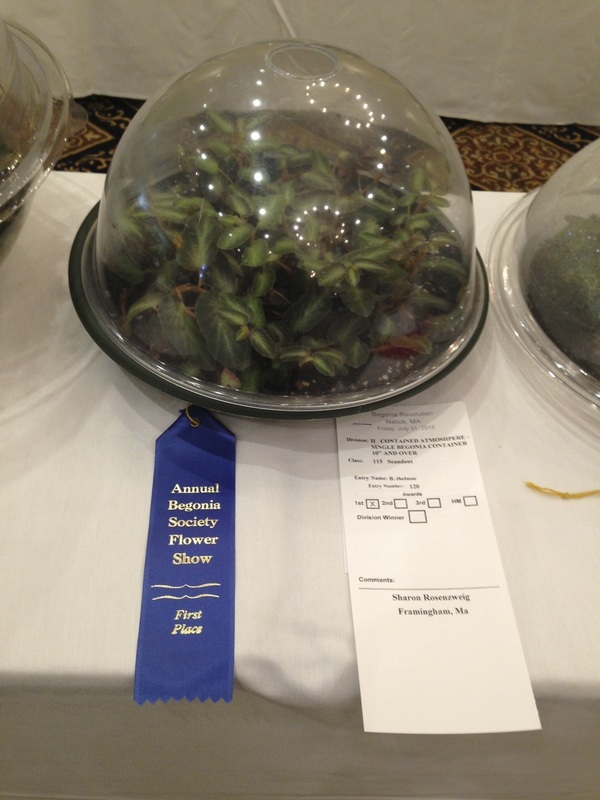 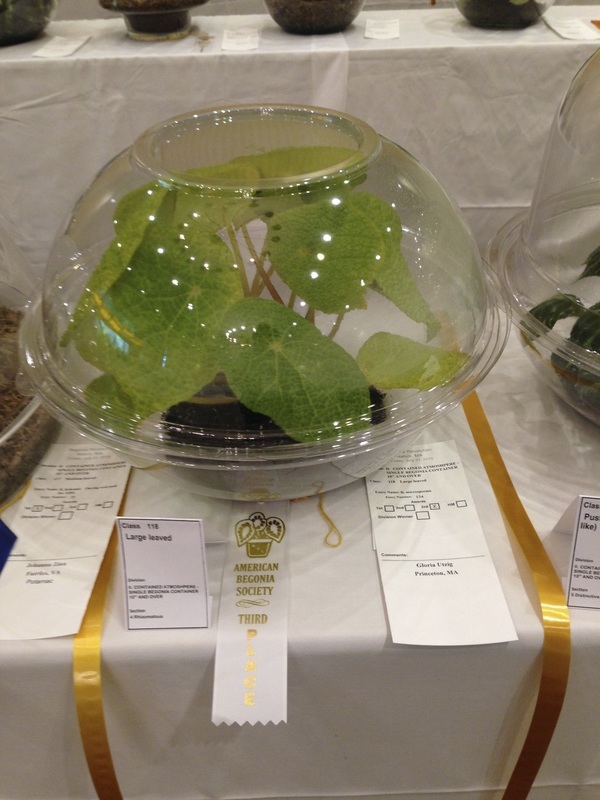 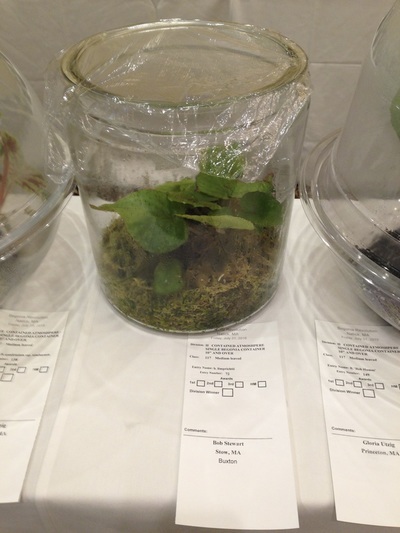 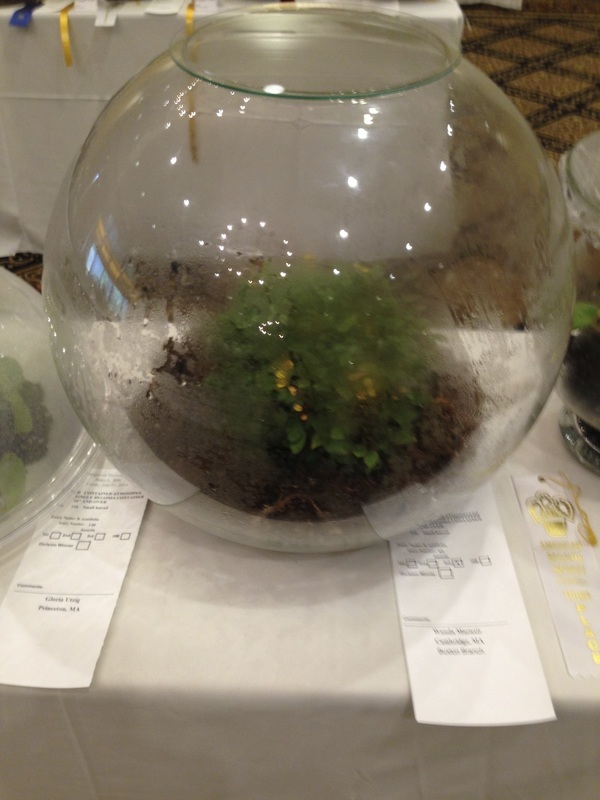 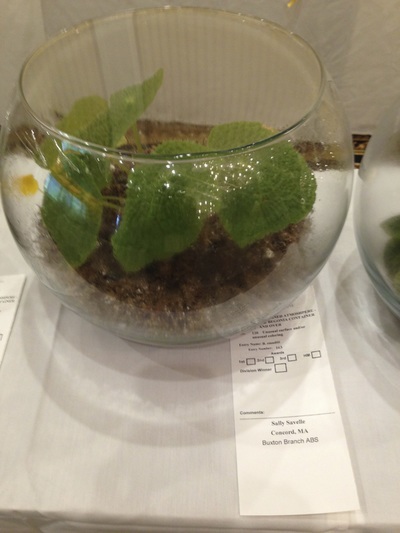 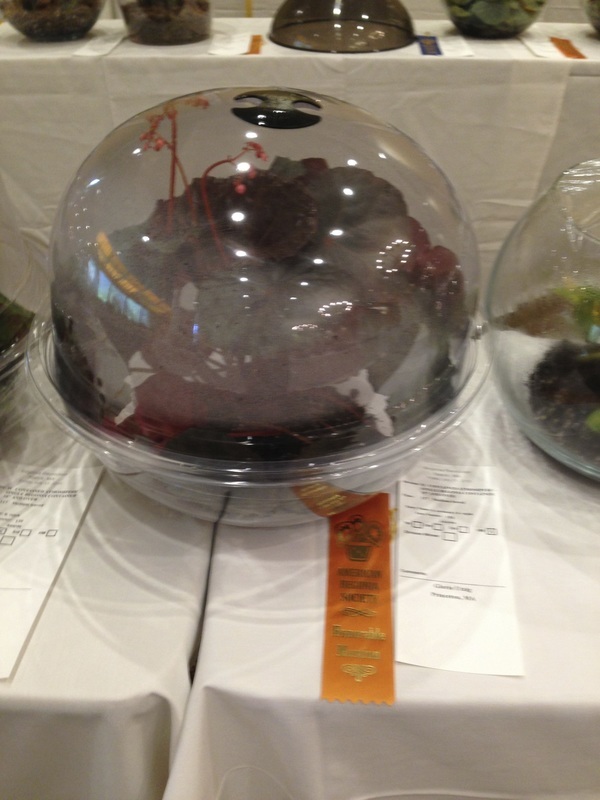 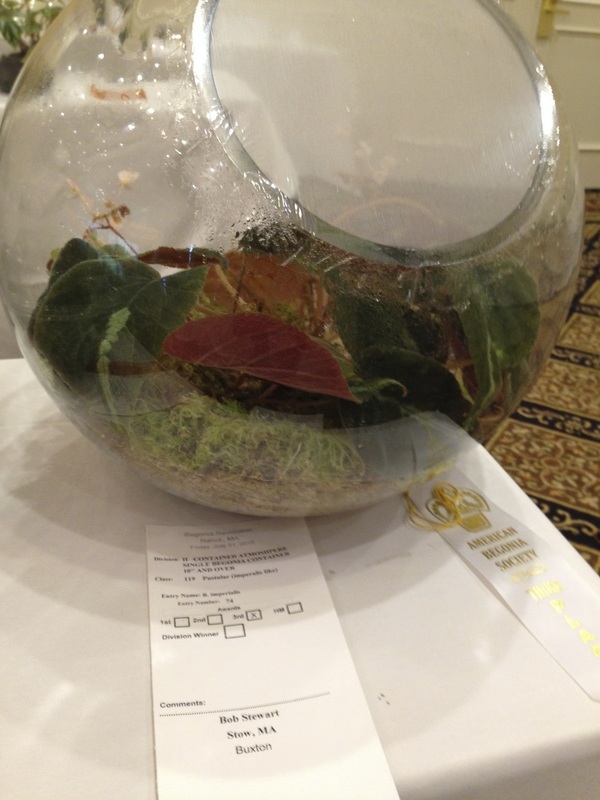 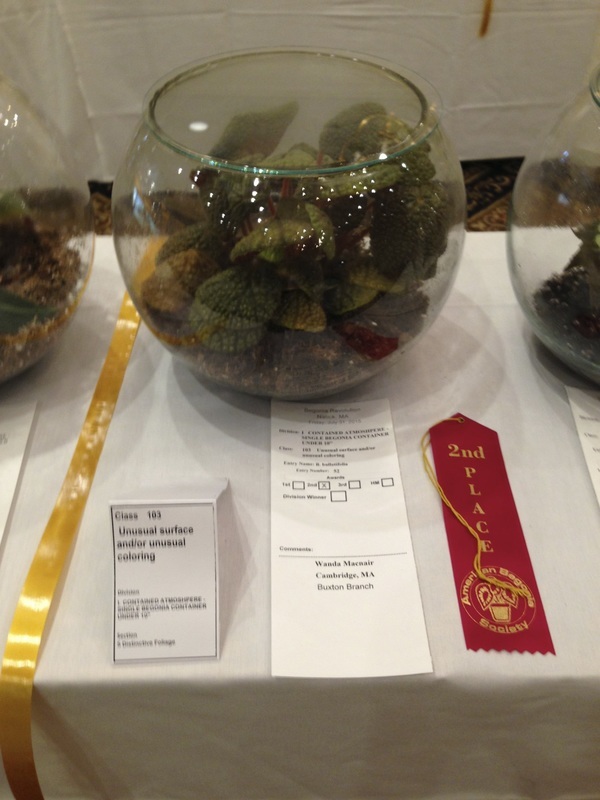 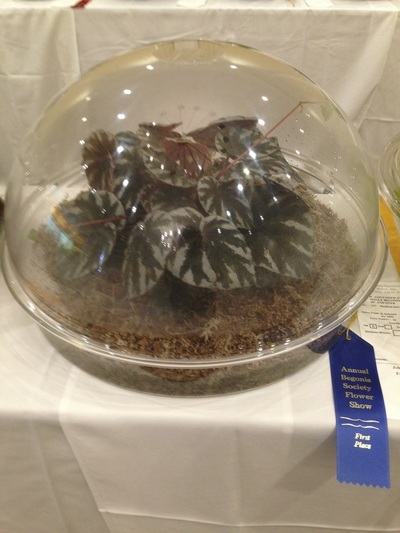 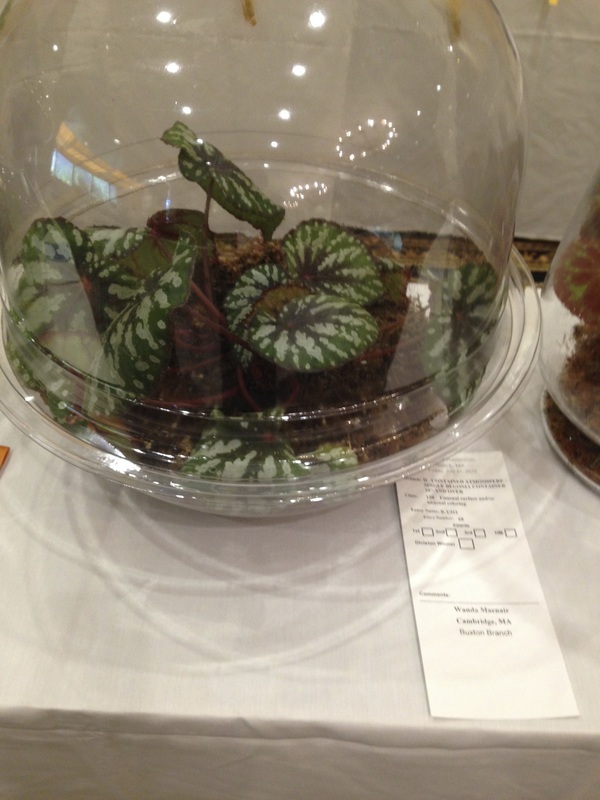 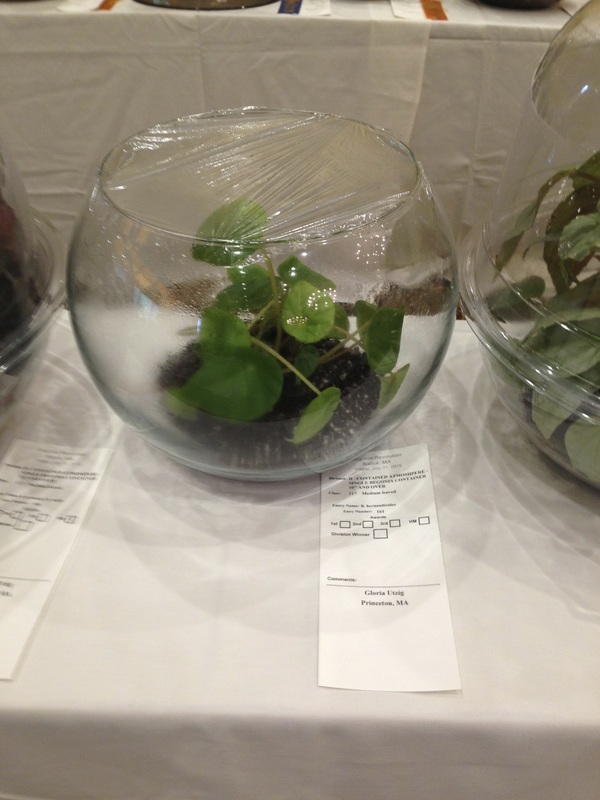 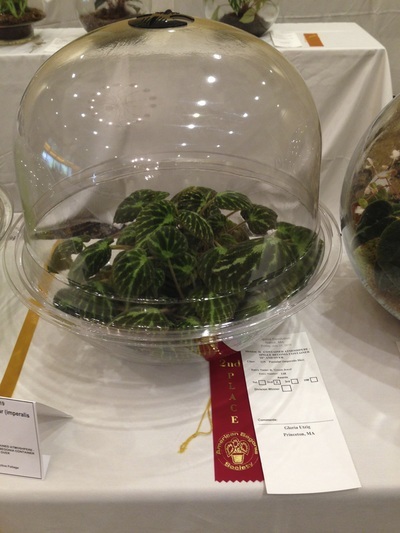 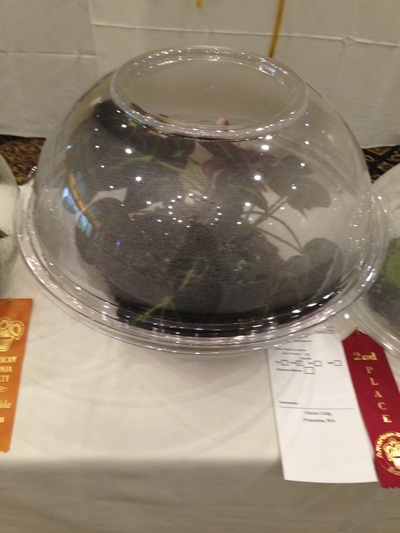 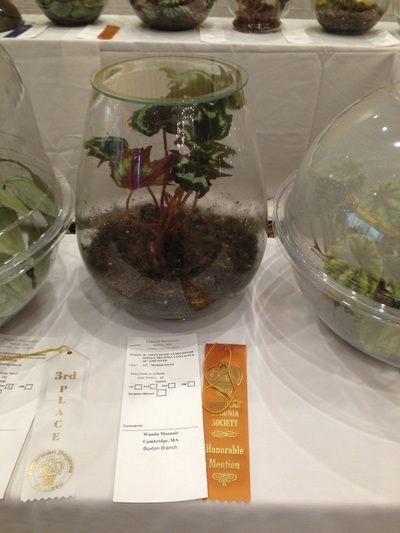 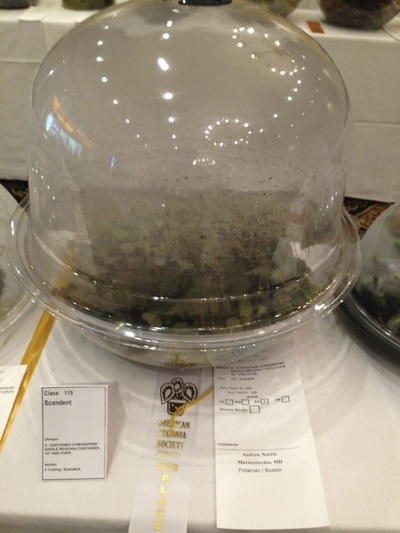 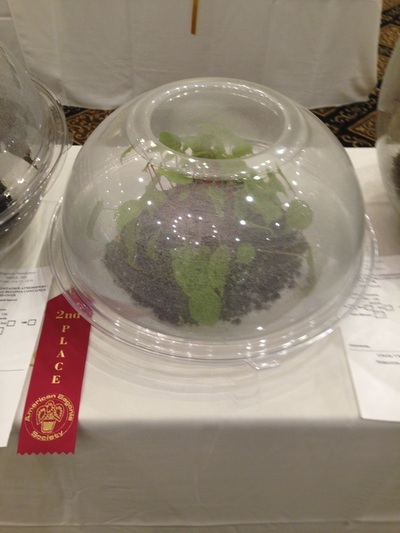 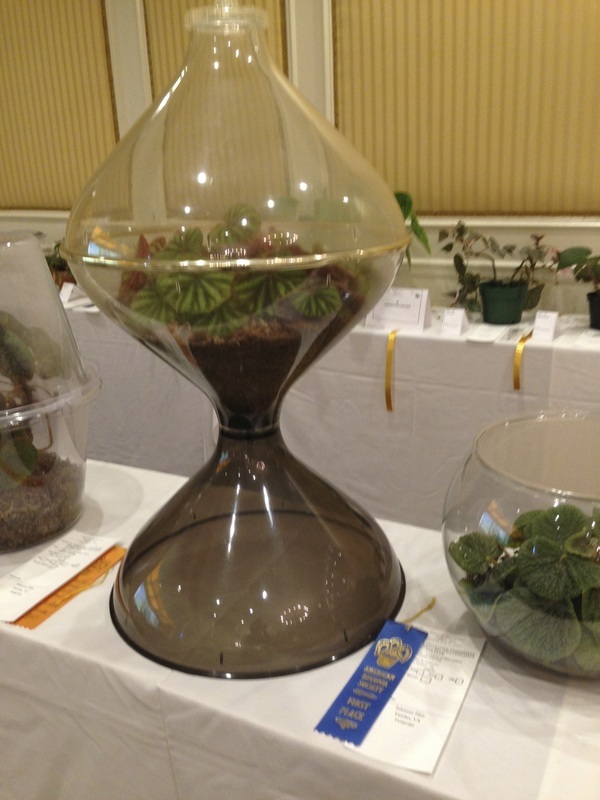 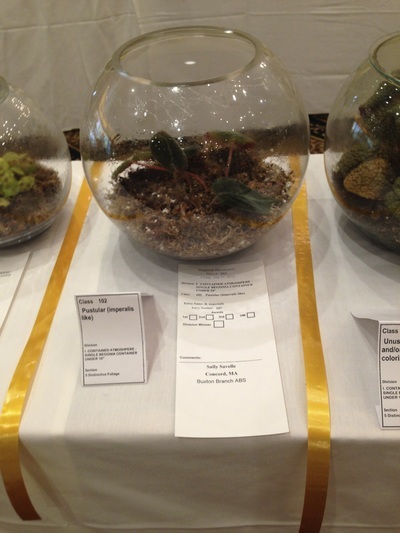 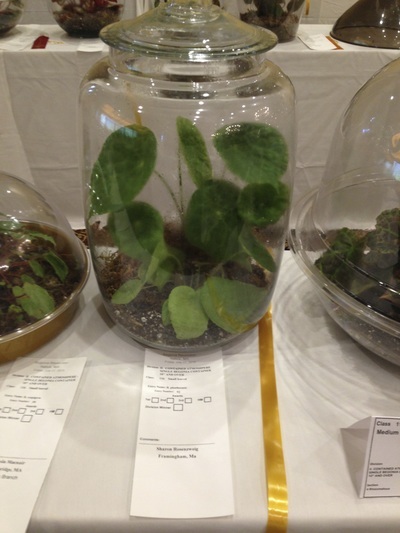 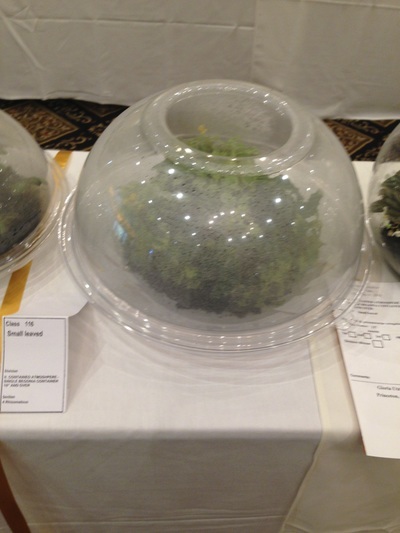 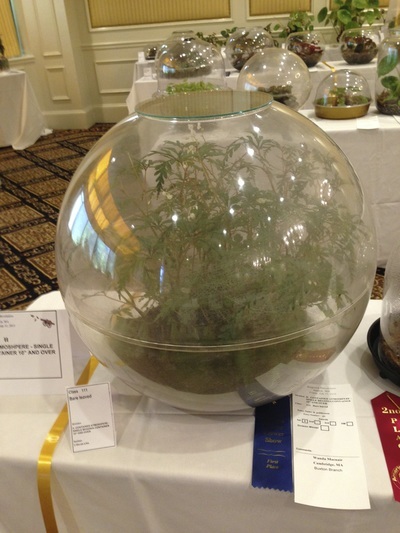 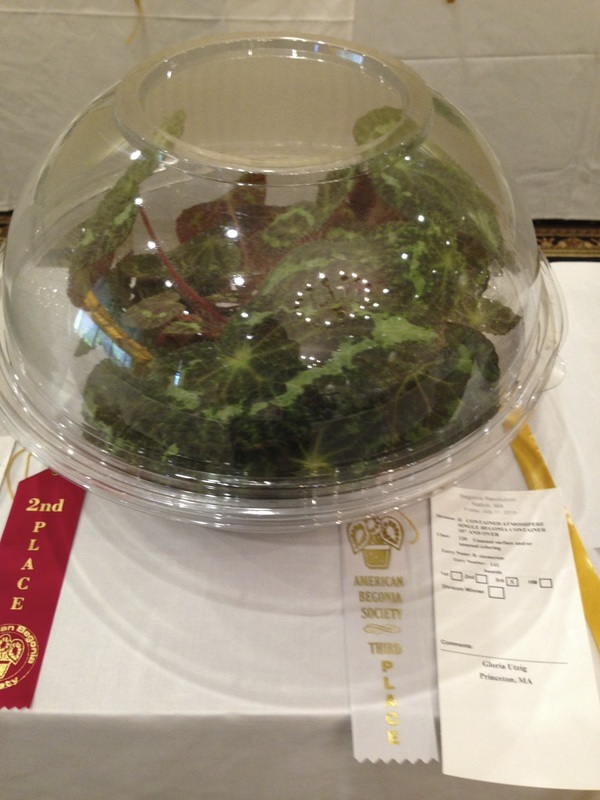 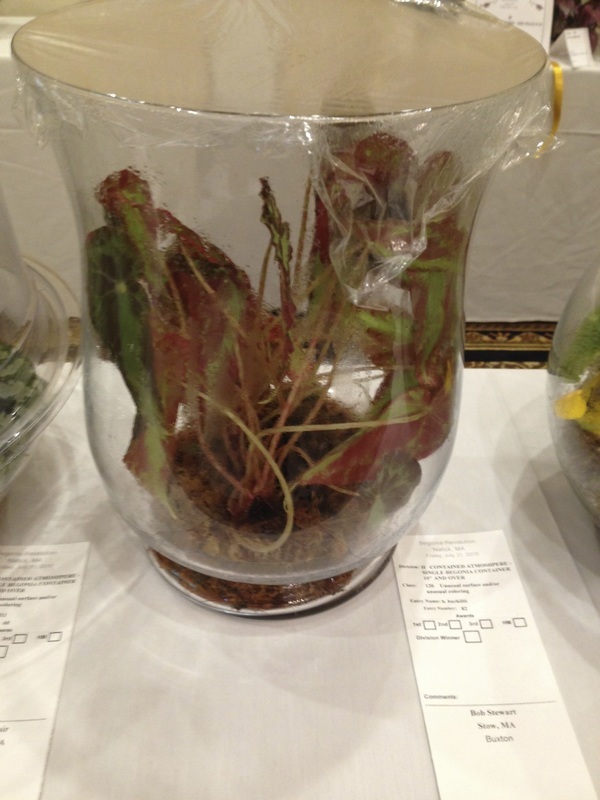 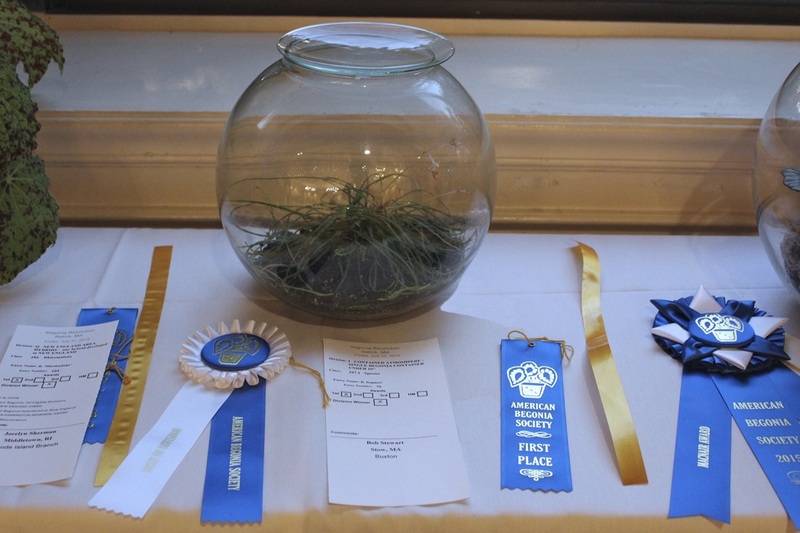 The Plant Show had quite a few entries, including an ABS record breaking number of terrarium grown plants. 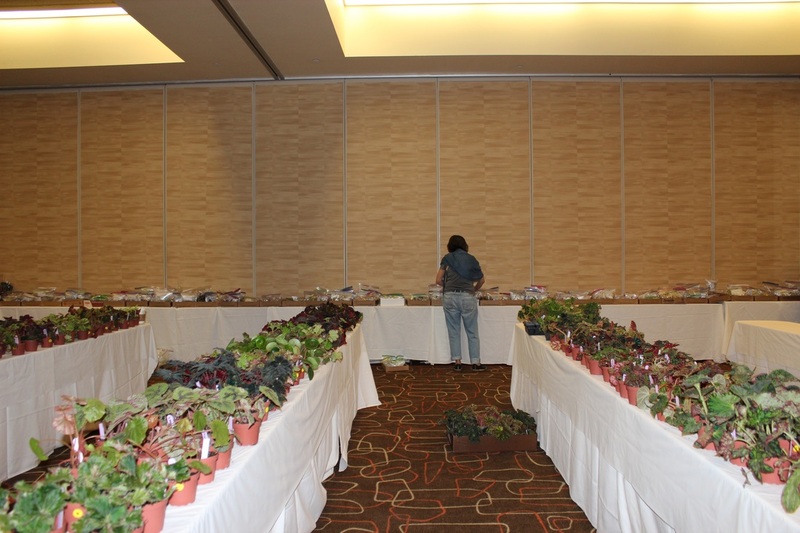 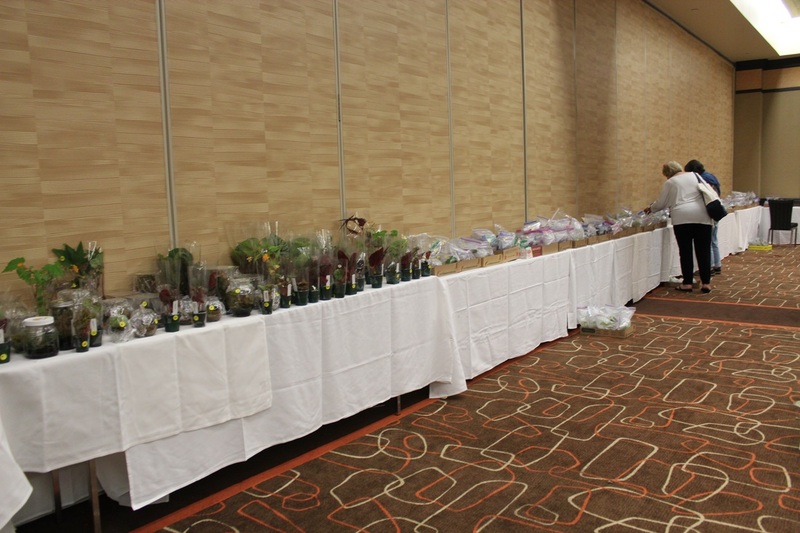 The Plant Sale Room getting prepped for tonight's 7PM opening to attendees, and tomorrow from 9-5PM to the general public.